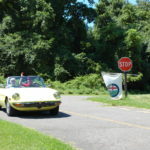 Get ready for some summer fun! 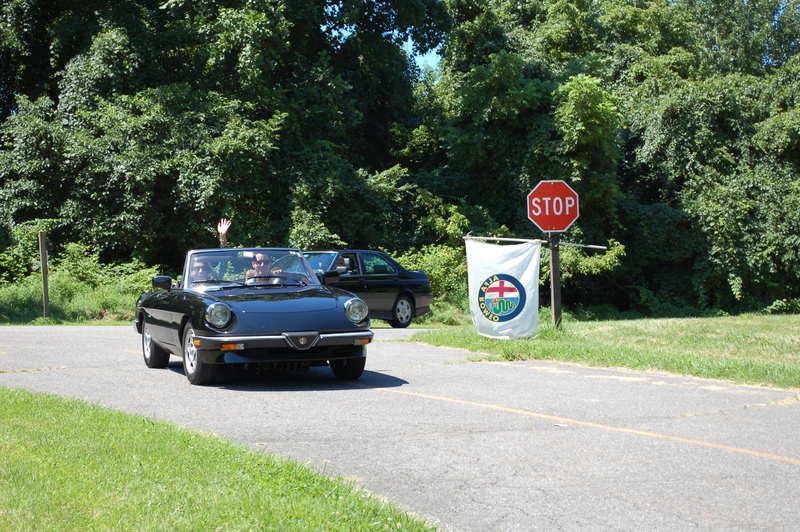 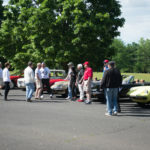 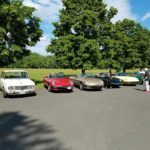 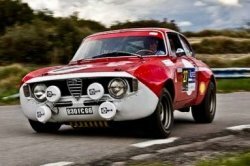 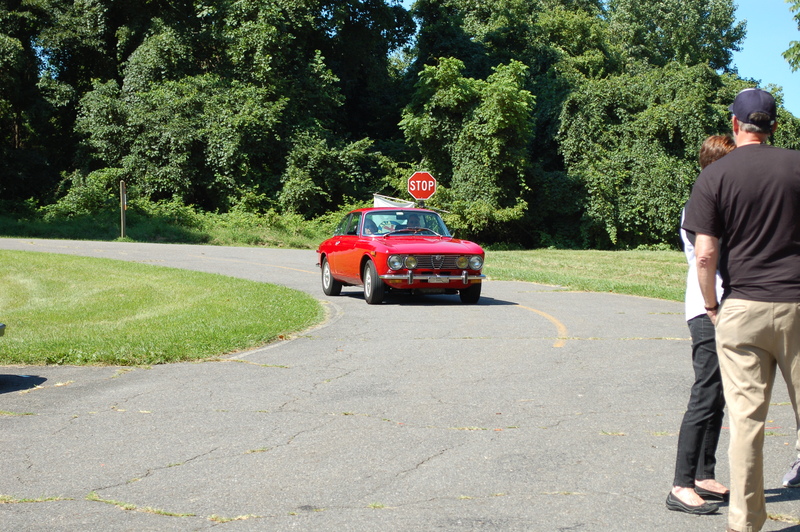 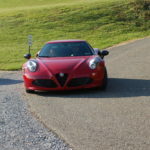 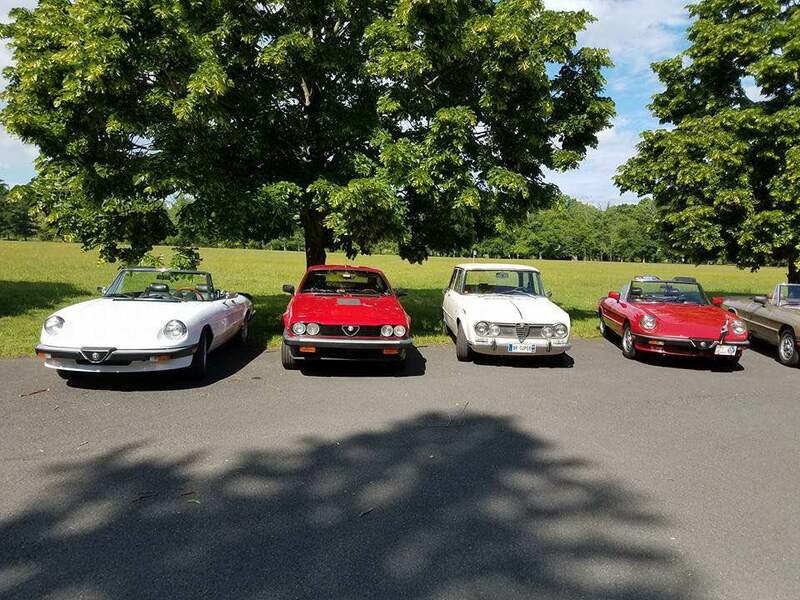 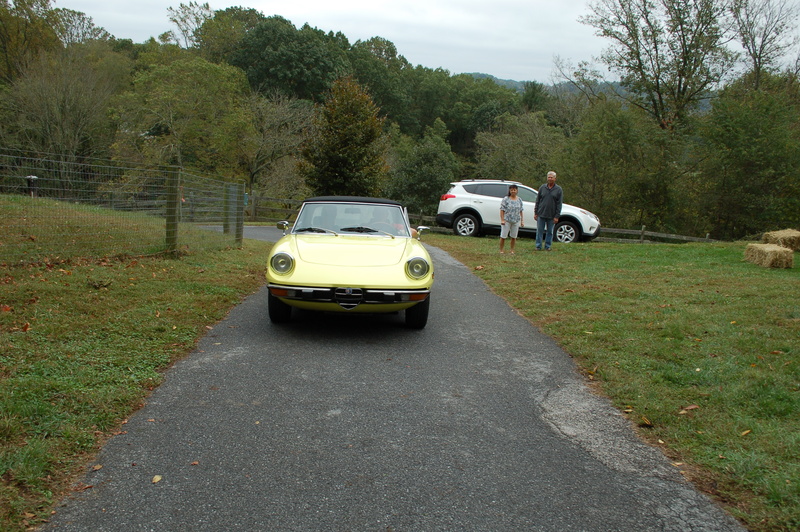 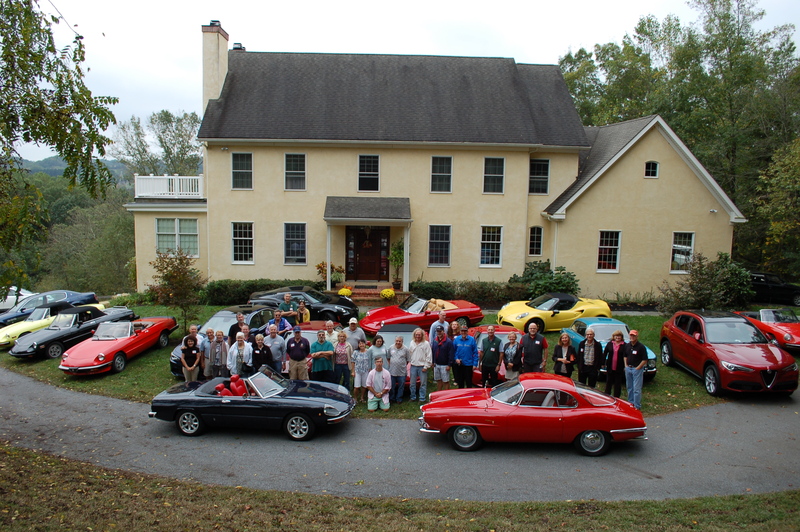 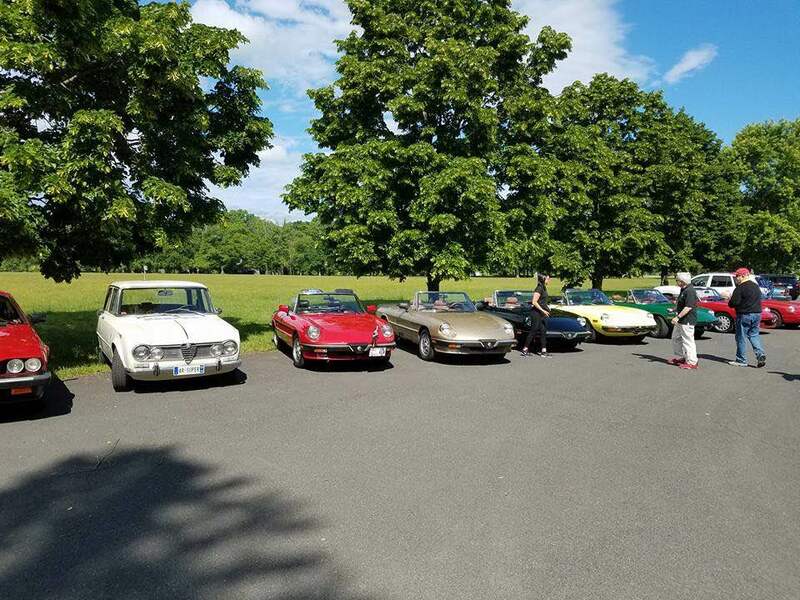 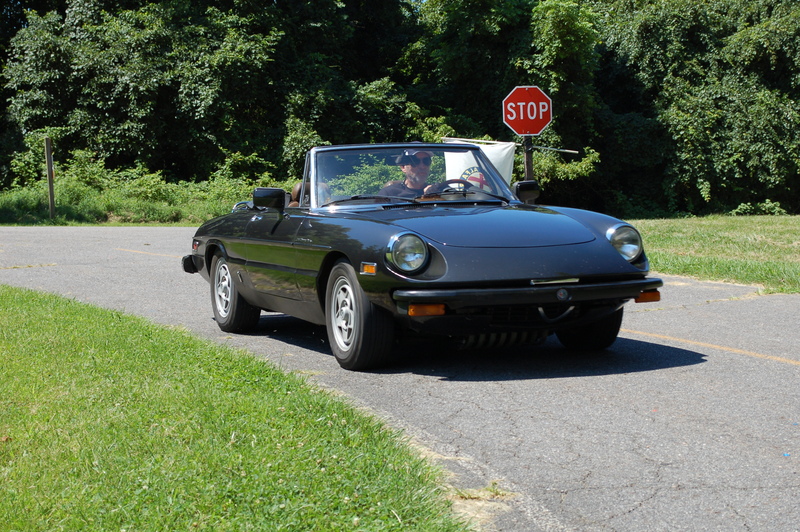 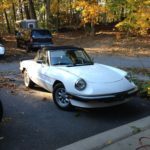 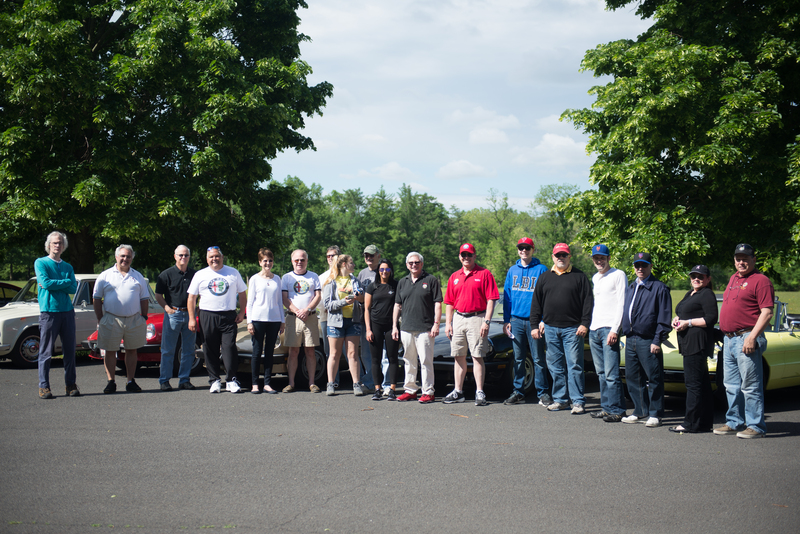 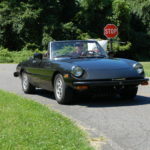 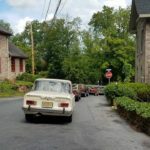 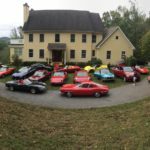 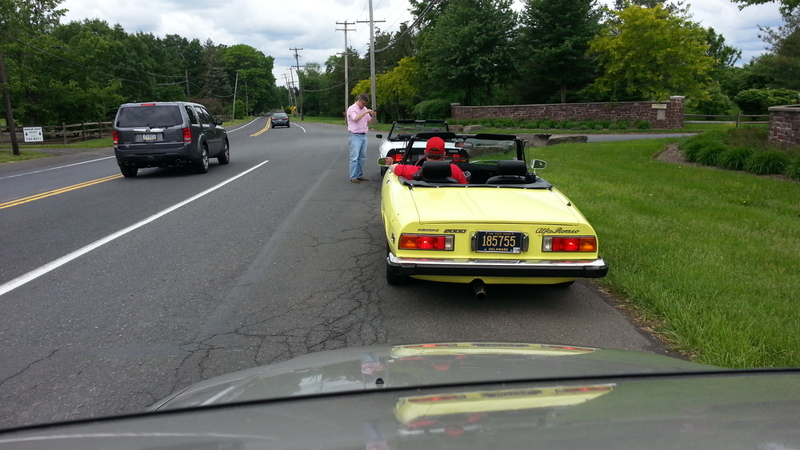 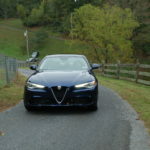 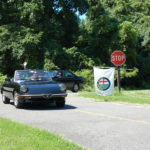 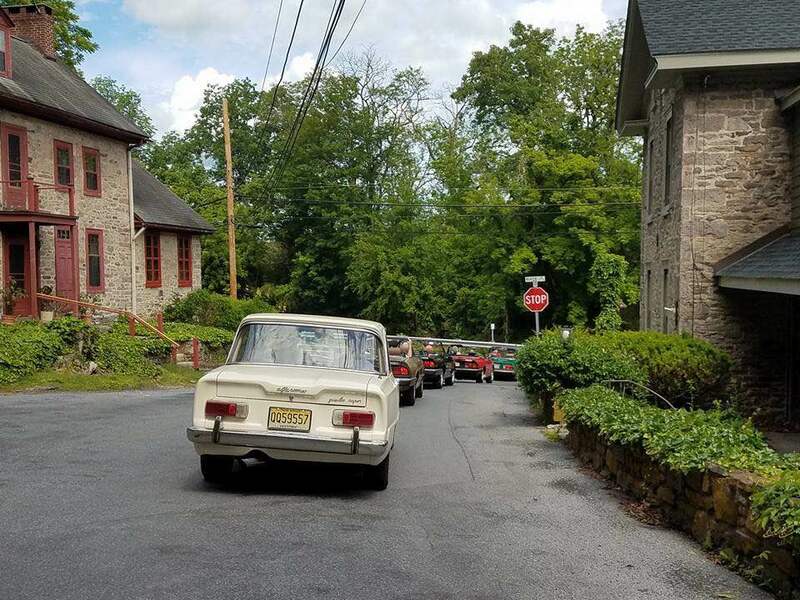 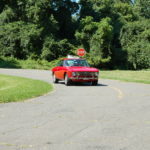 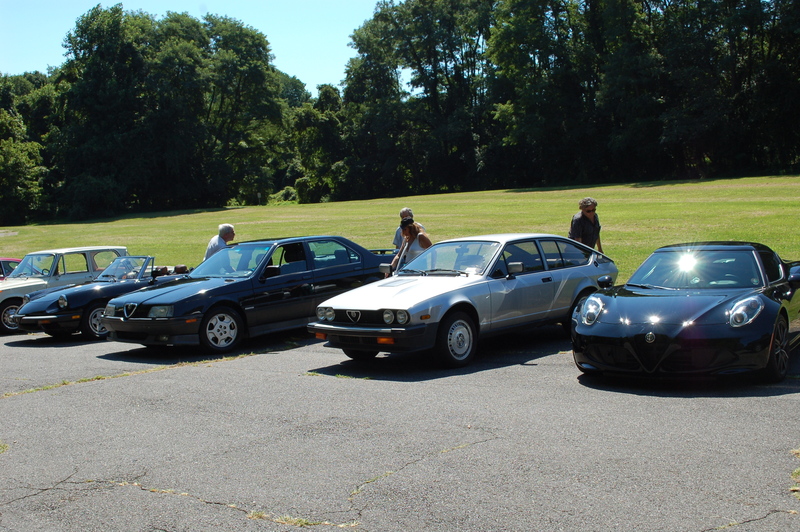 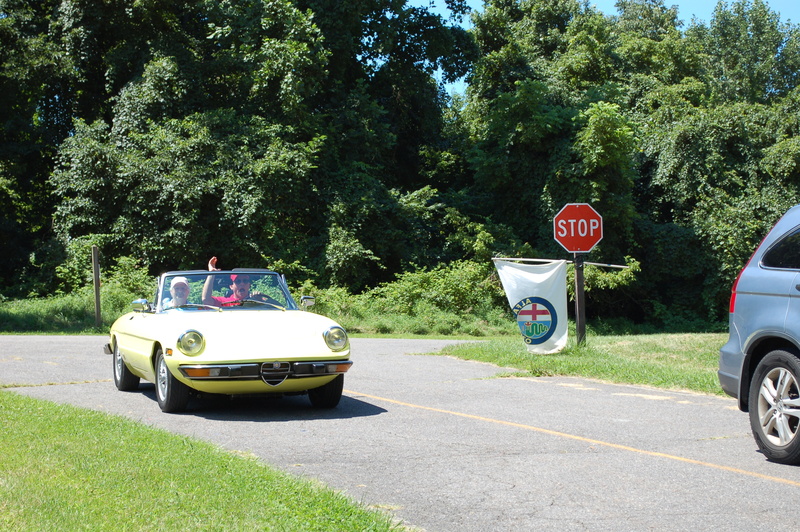 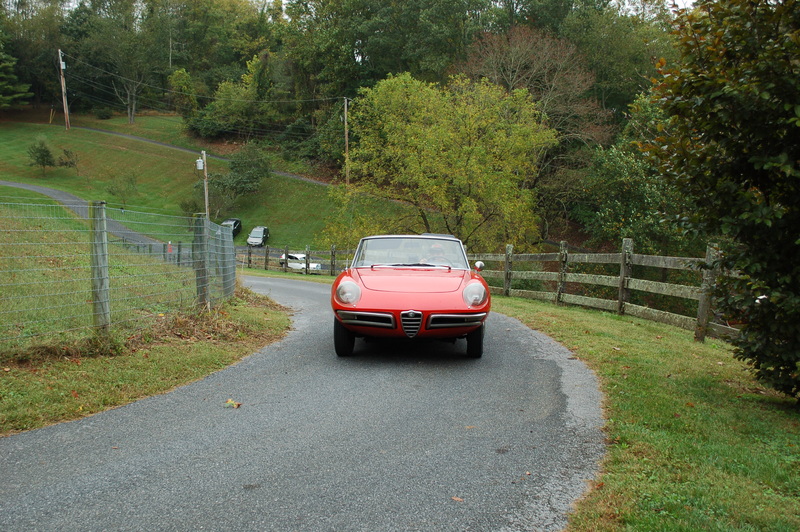 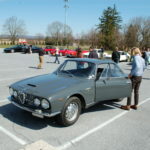 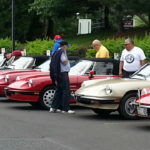 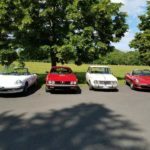 The Delaware Valley Alfa Romeo Owners Club will hold our Summer Picnic and Rally at Ridley Creek State Park on Sunday July 30th. 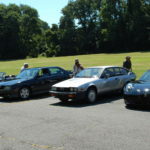 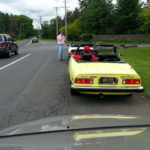 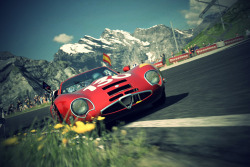 The event will include a fun rally, which should take less than an hour to complete, followed by a picnic in the park. 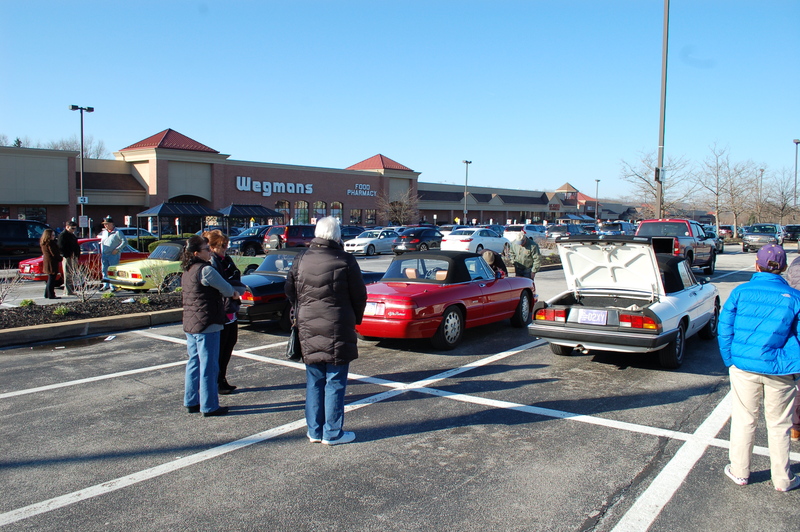 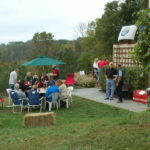 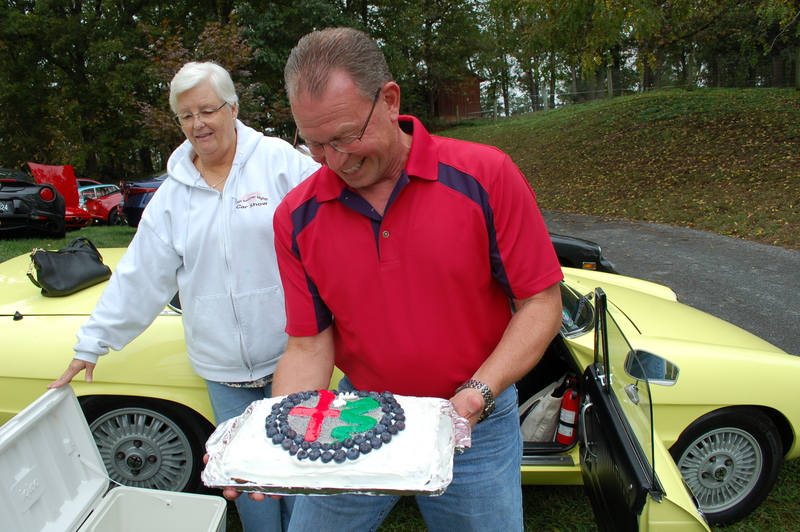 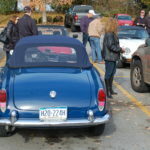 You’ll have a chance to show off your car, demonstrate your navigation skills, and enjoy some good food and friends. 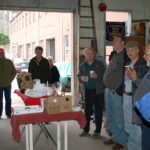 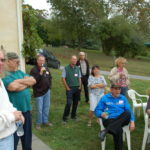 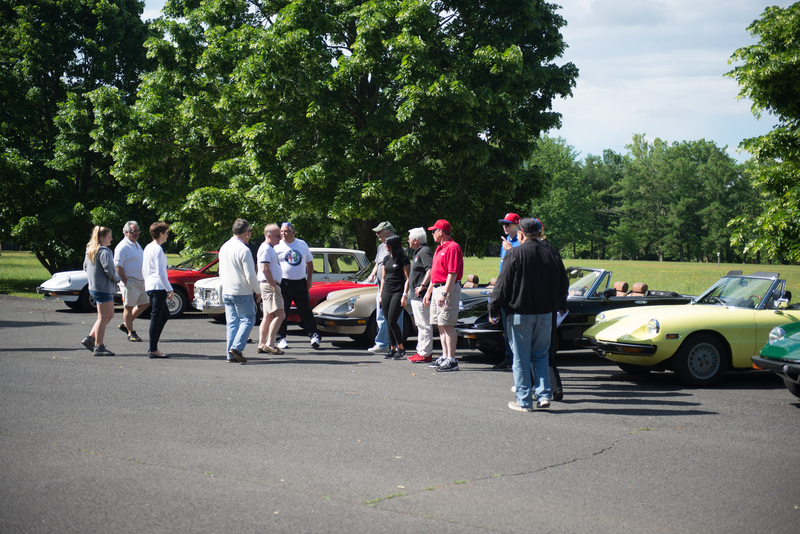 After everyone arrives, we’ll go over the rally instructions and then have a Le Mans style start. 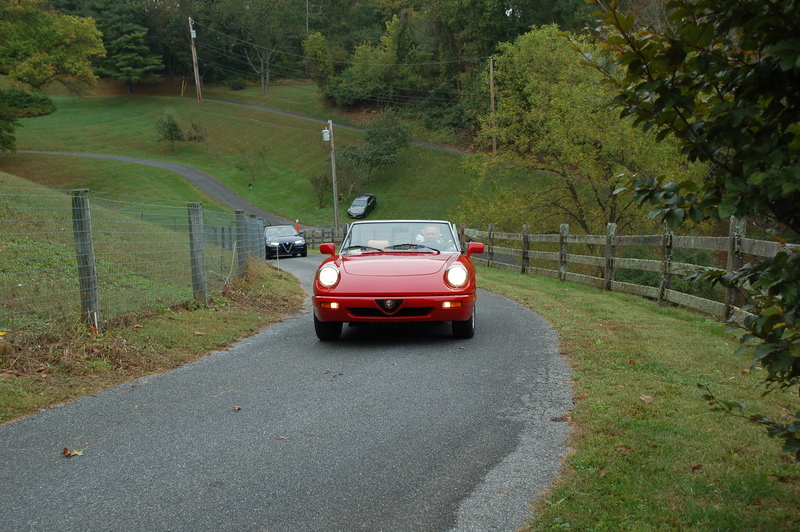 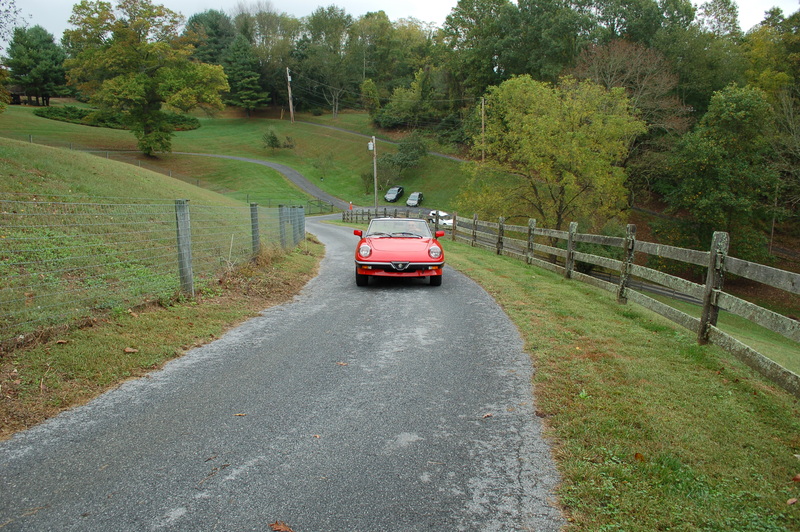 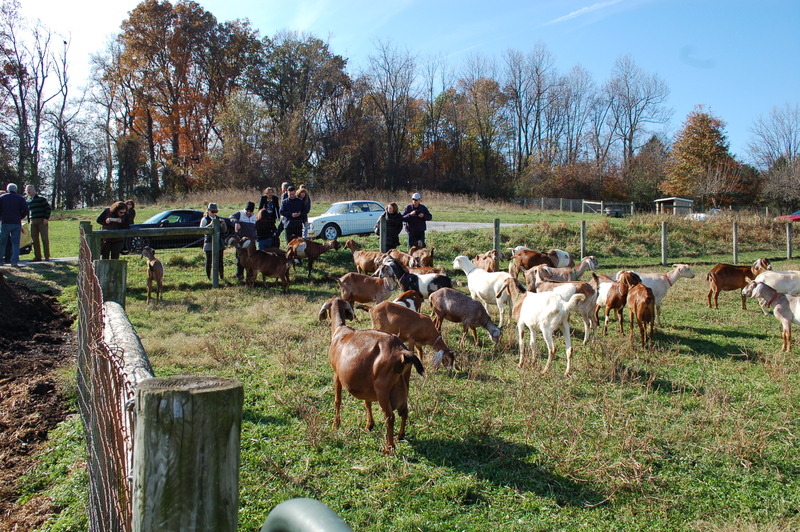 The rally will take participants through some very pretty Chester County horse country. 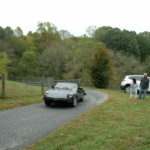 The course is designed to make for fun competition that won’t reward use of GPS or following another car. 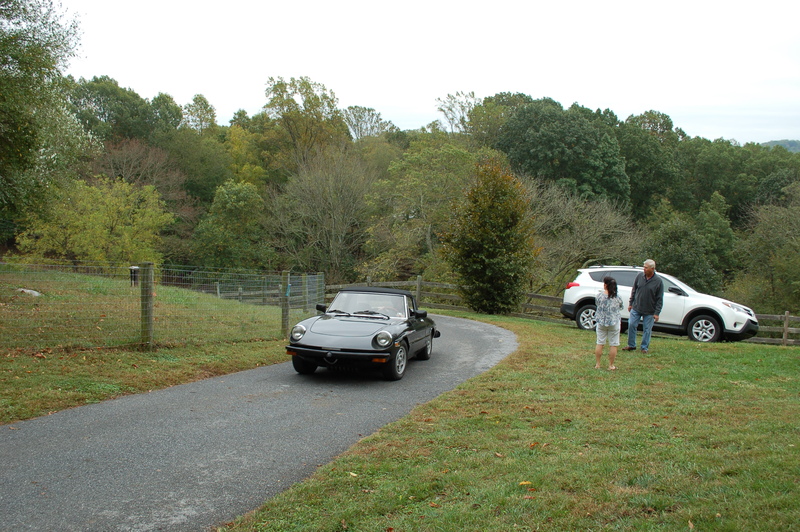 The rally course will take less than an hour to complete. 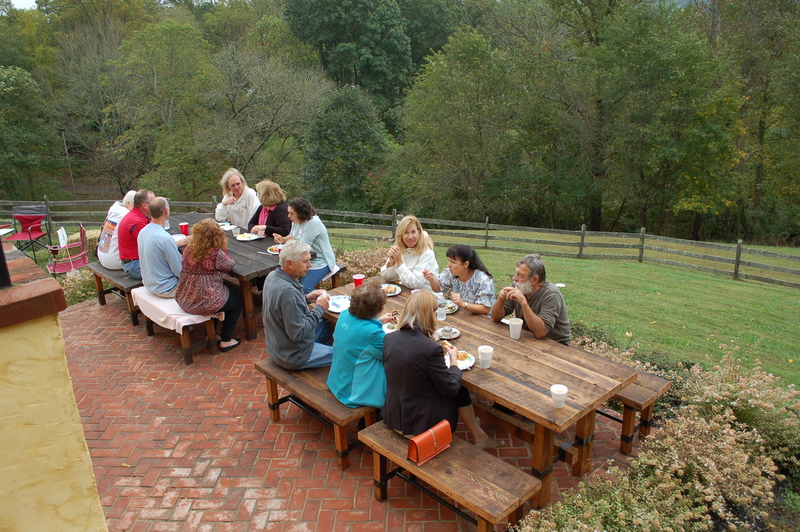 Once everyone is safely back to the park, we’ll enjoy some lunch together. 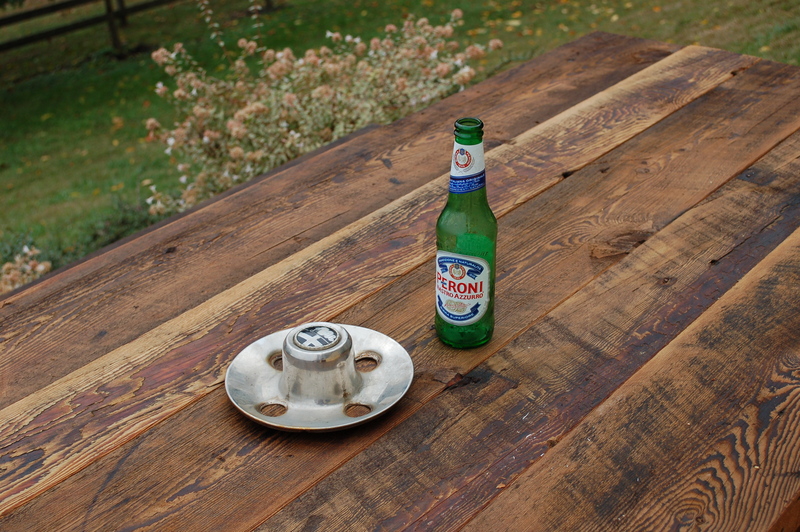 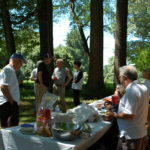 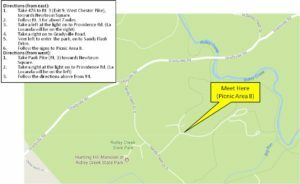 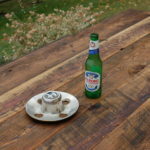 Picnic lunches – hoagies, salads and drinks will be provided. 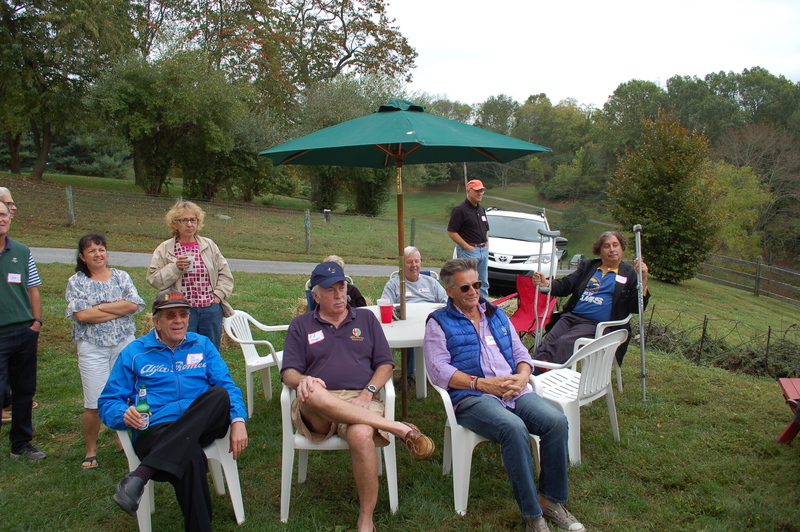 We’ll ask each participant to provide $10 per person to the club, to help defray costs. 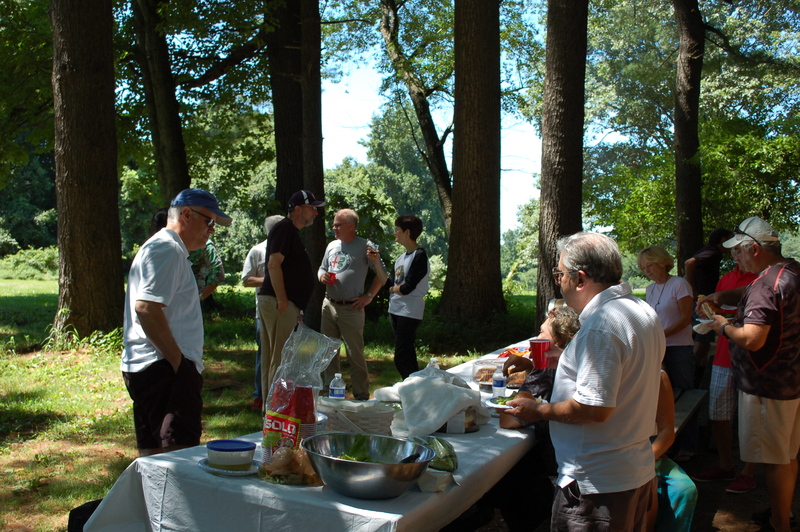 If you want to attend, please RSVP to Bob Brady at: 302.420.6529 or preferably, robertanthonybrady@gmail.com by Friday, July 28th so we can plan food and hand-outs, accordingly. 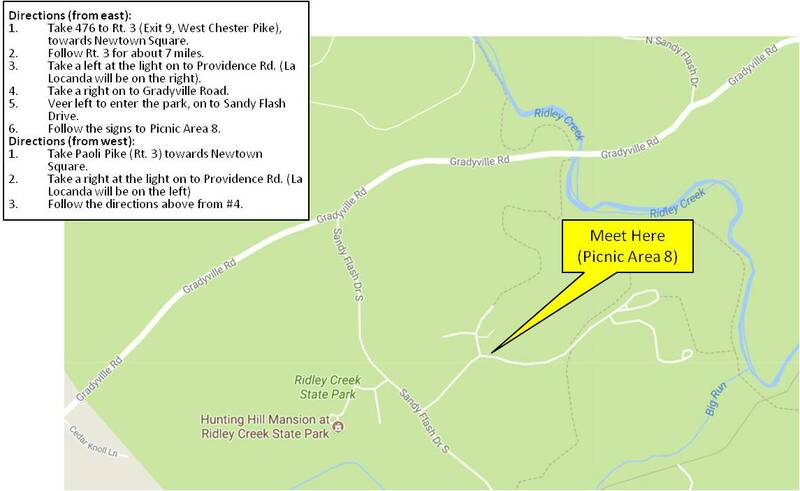 We’re rescheduling our Summer Picnic/Rally from July 2nd to July 30th. 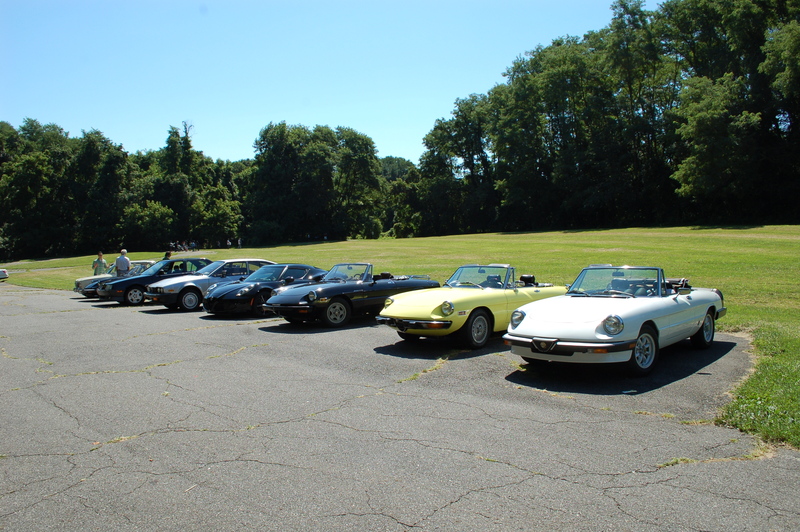 Have a great Fourth of July weekend and hope to see you on the 30th. 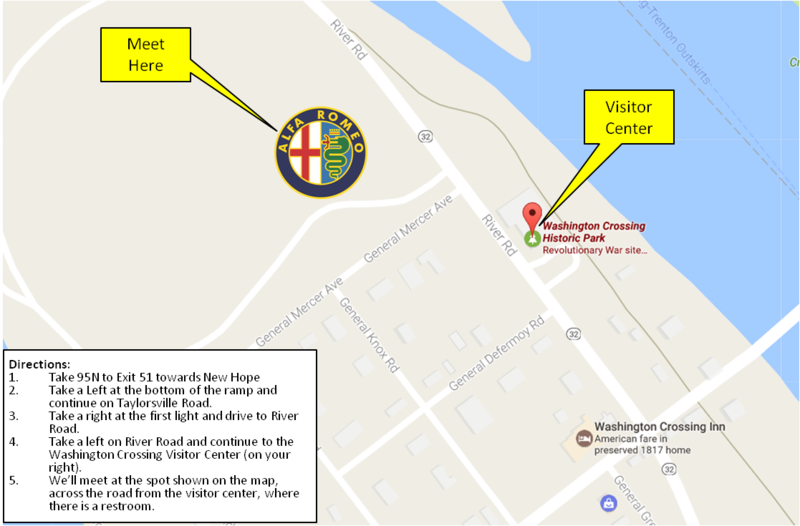 Note also that New Hope is also having a road rally on July 25th. 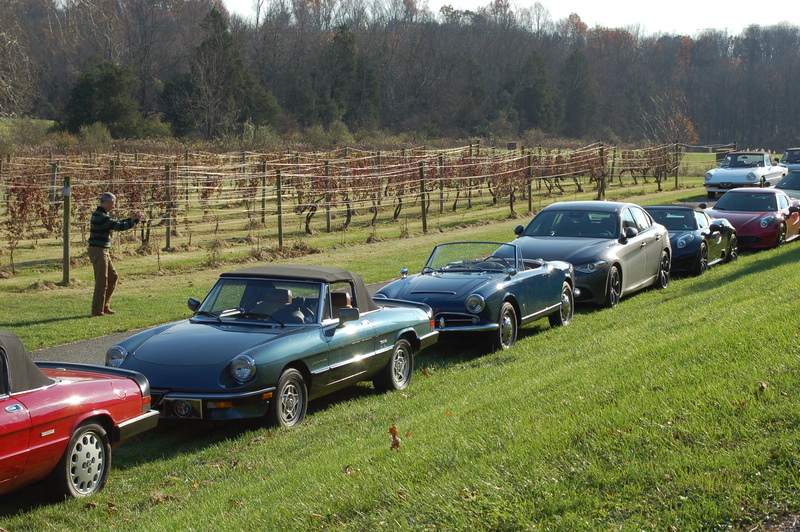 Spring has sprung! 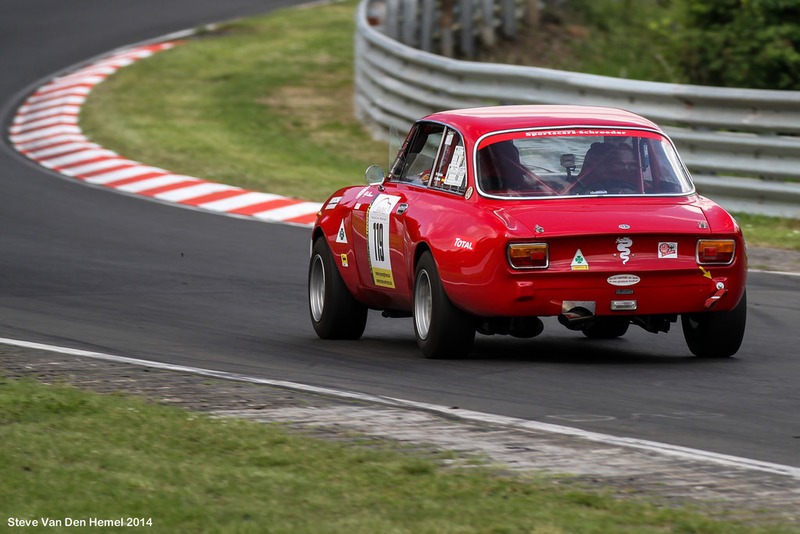 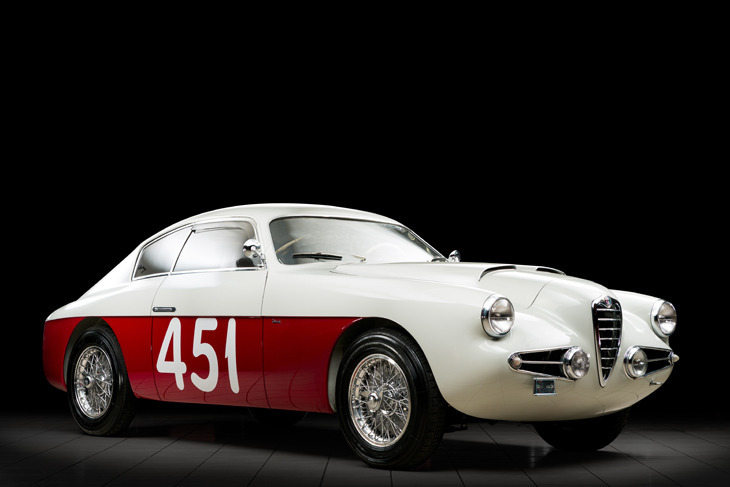 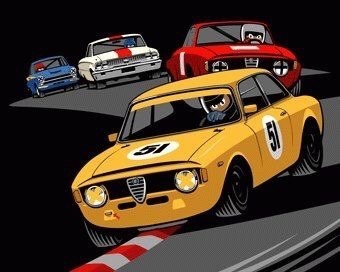 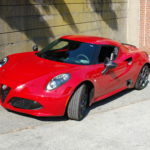 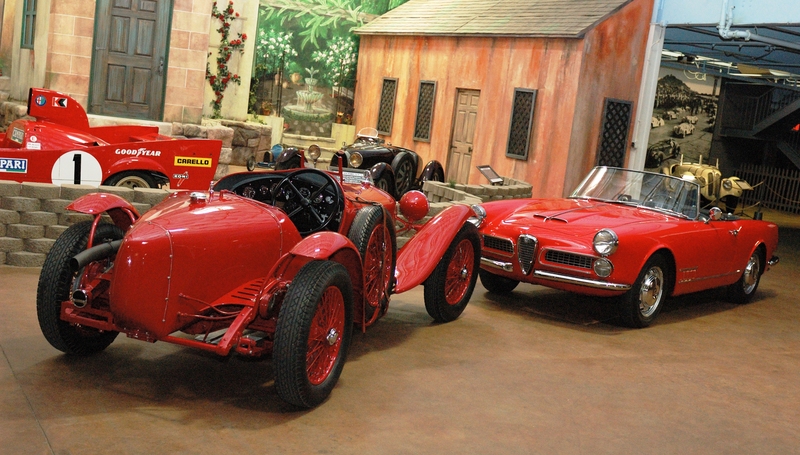 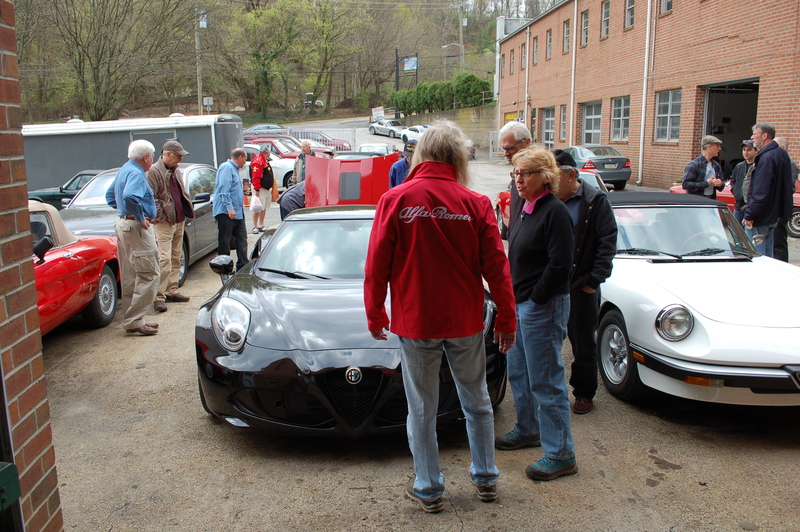 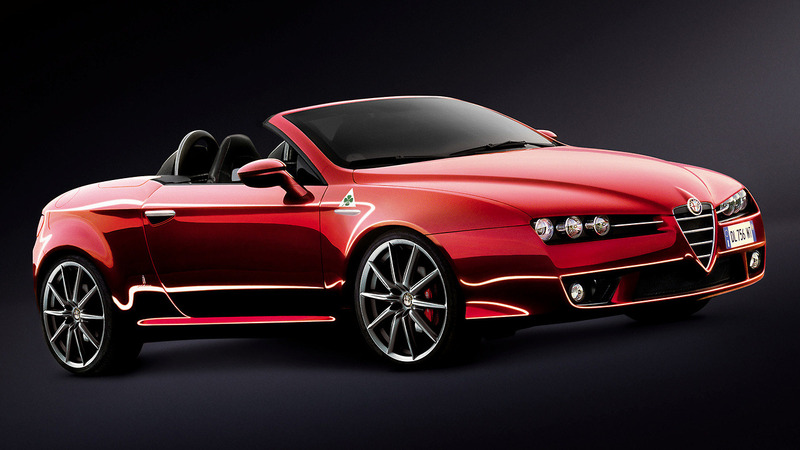 After the inspirational Tech Session on April 15th, we’ve all got our Alfas tuned and ready for fun….. of course you have! 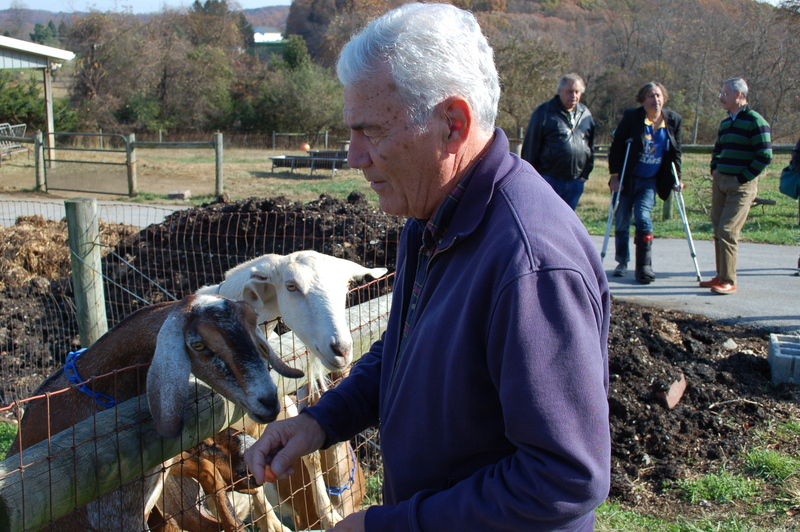 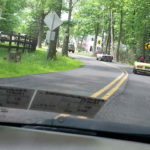 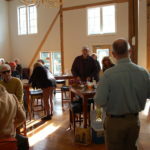 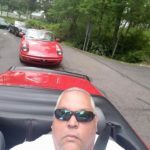 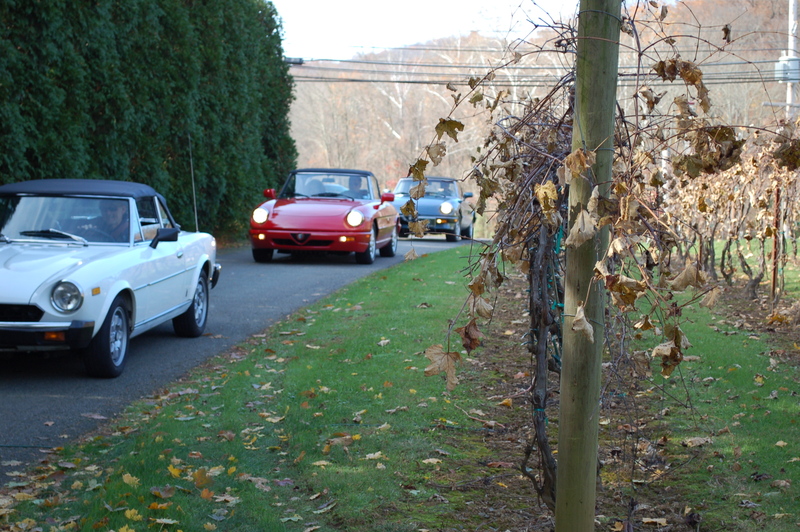 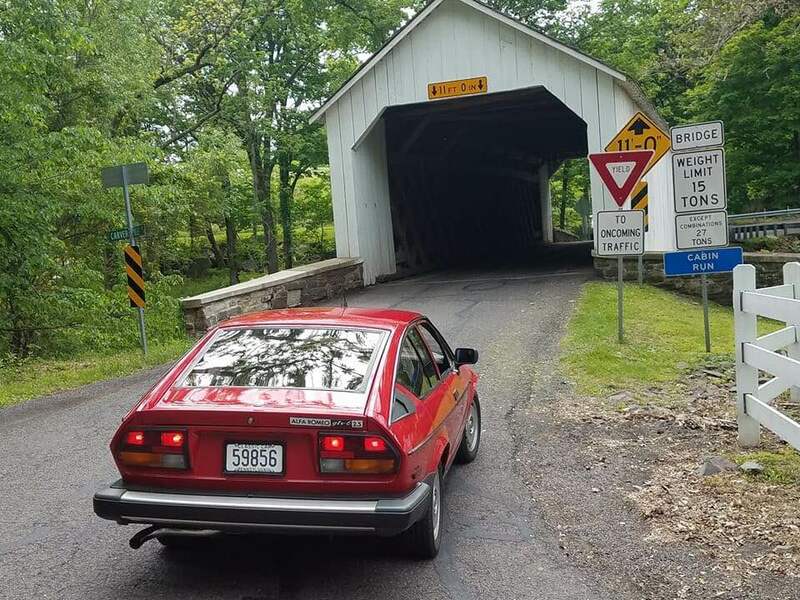 Our Spring driving tour will take us along the Delaware River, through beautiful Bucks County, back and forth from Pennsylvania and New Jersey, through some lovely covered bridges and finish in Doylestown for lunch. 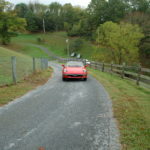 Along the way, we’ll make some stops to stretch our legs and enjoy some sites and towns. 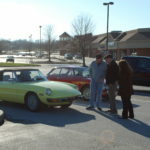 Expect the total length to be about 70 miles and the drive to take about three hours (including stops). 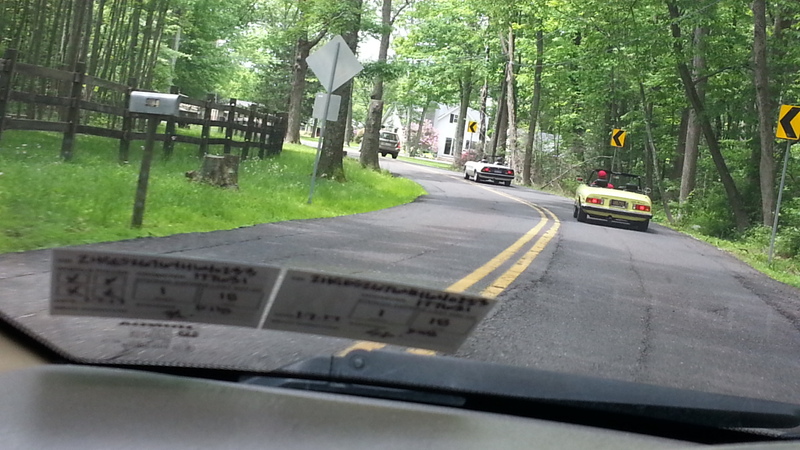 From there, we’ll drive into New Jersey, back into Pennsylvania and make a first stop in Lumberville. 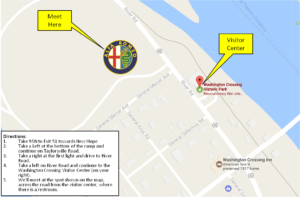 There, we’ll take a walk across the river to Bulls Island before we continue north. 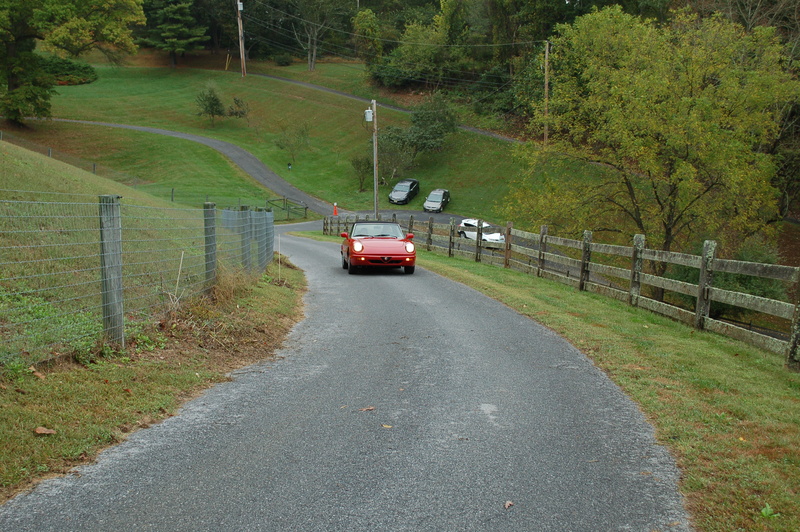 From there we’ll visit Frenchtown and maybe stop at Ringing Rocks. 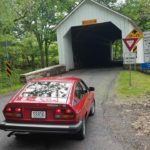 We’ll then drive inland through a few covered bridges and along some beautiful woods and streams. 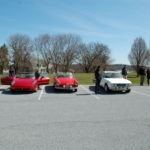 Afterwards, we’ll head back to civilization and park at the Mercer Museum in Doylestown. 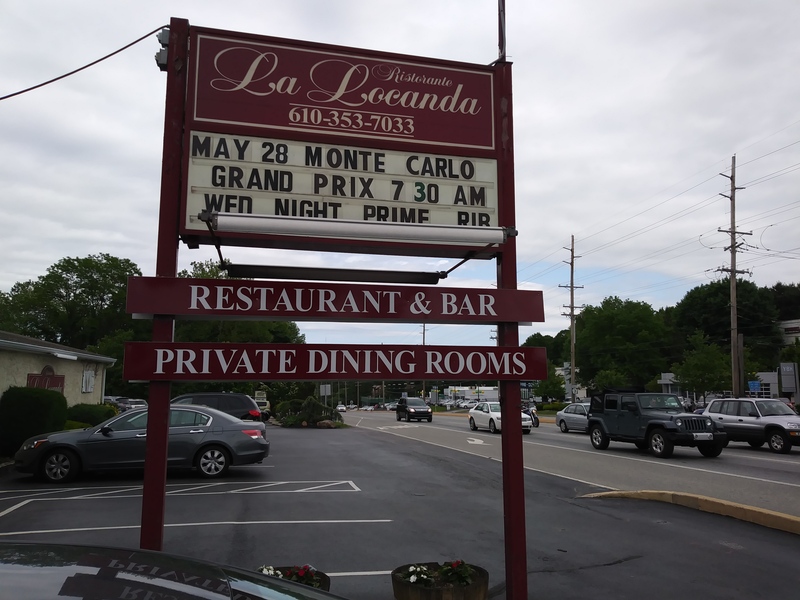 From there, we’ll take a short walk to a local restaurant for lunch together – venue TBD, depending on how many attendees we get. 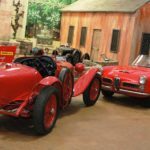 Finally, after lunch, you’re welcome to tour the town, the fabulous Mercer Museum or the Michner art museum across the street. 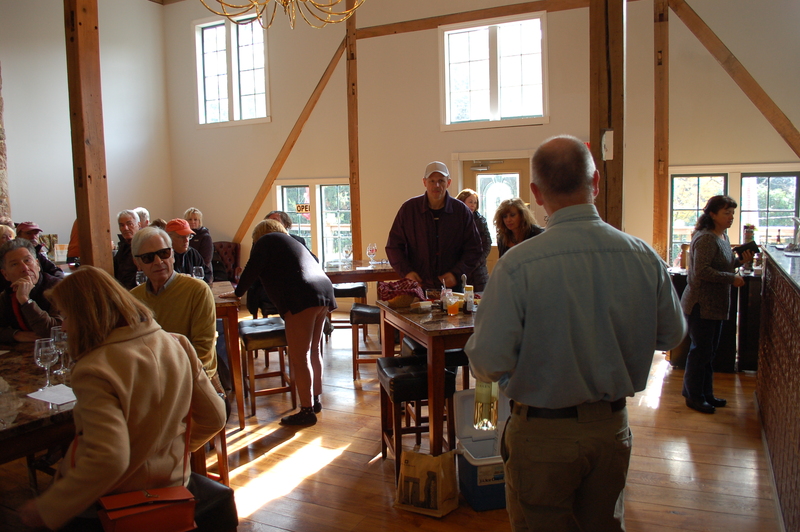 Just like we did in the last tour, we’ll order lunches from the restaurant’s menu, so no need to pre-pay or feel limited to selections. 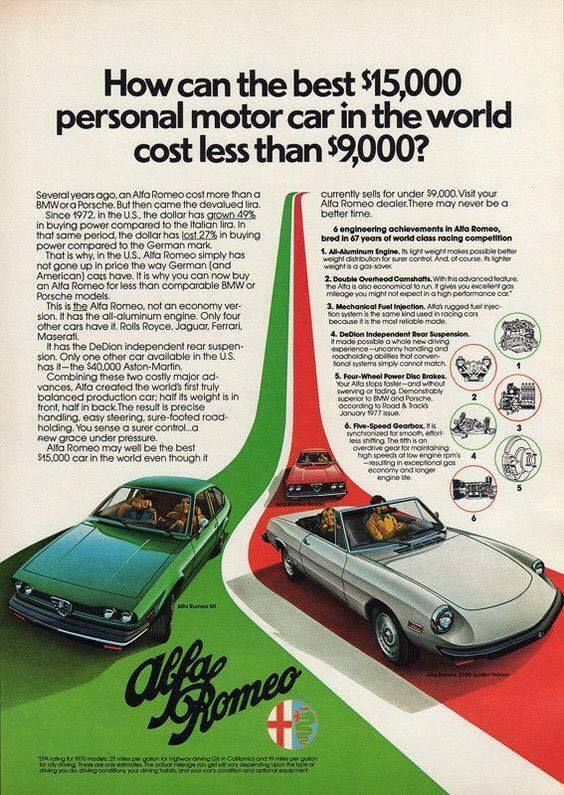 There is no cost for the tour. 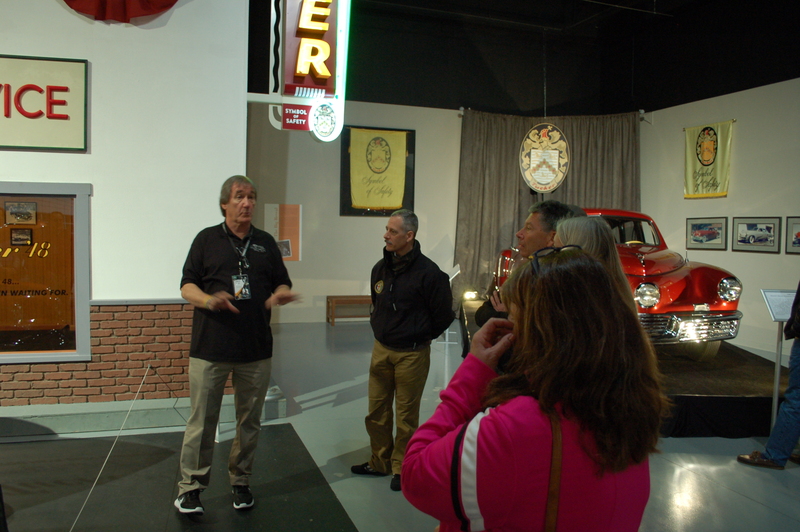 Cost for lunch and/or museum visits is up to you. 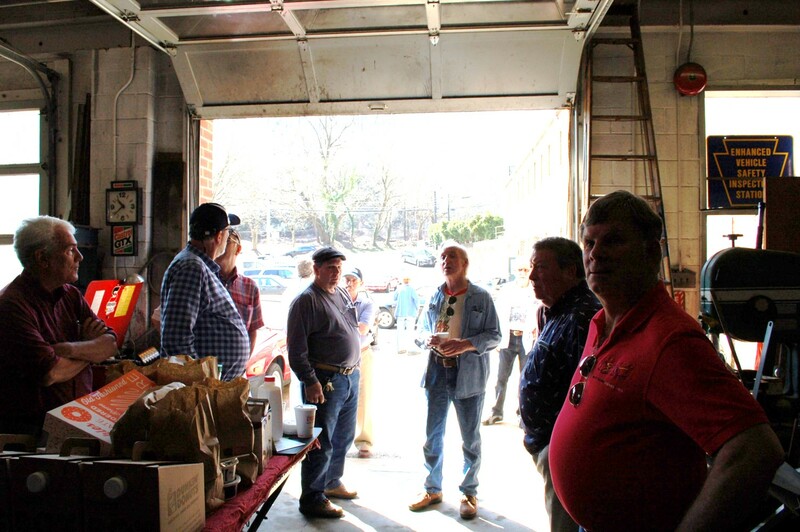 If you want to attend, please RSVP to Bob Brady at: 302.420.6529 or preferably, robertanthonybrady@gmail.com by Friday, May 19th . 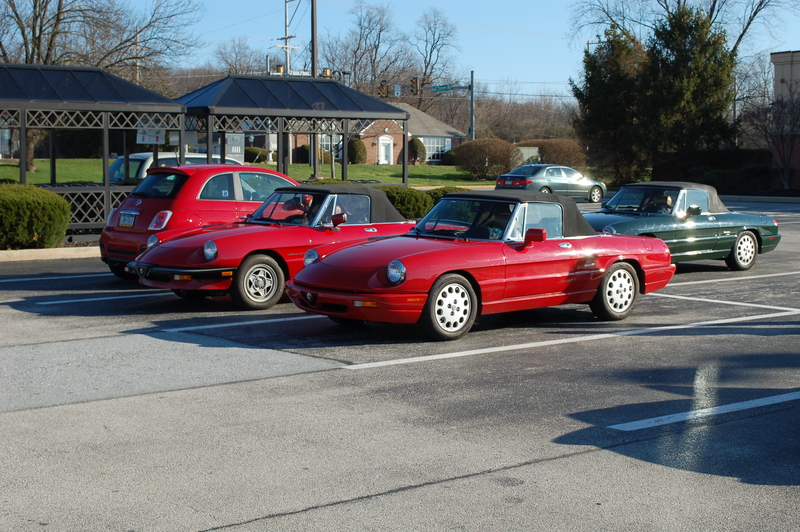 Ignore the impending snowstorm! 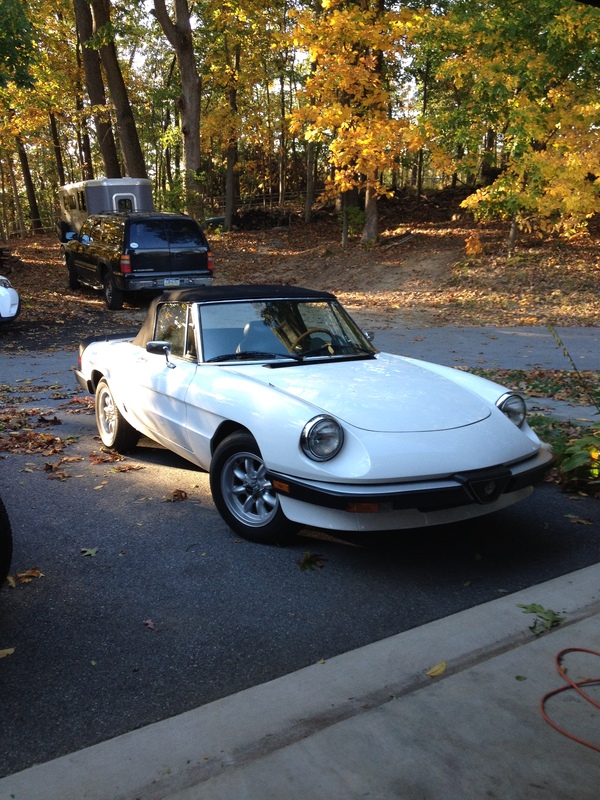 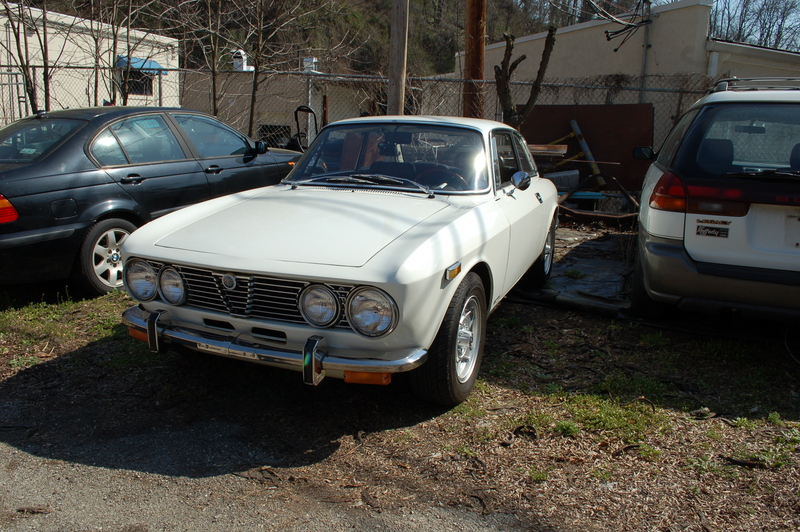 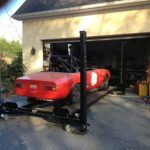 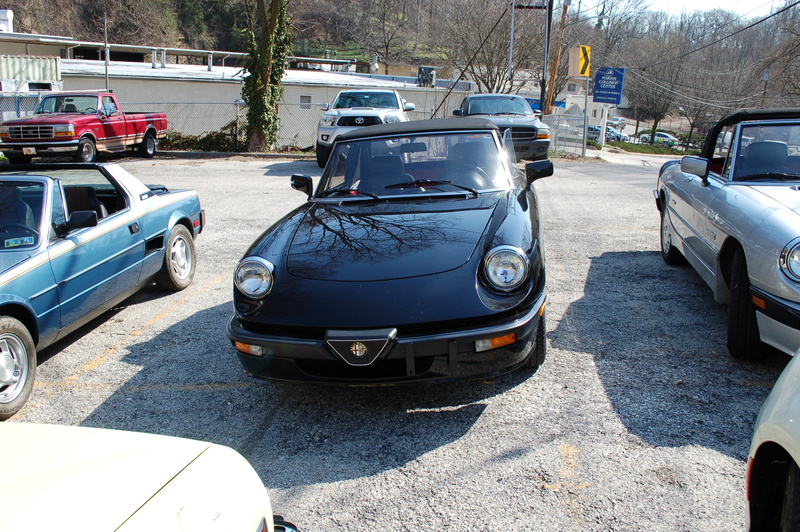 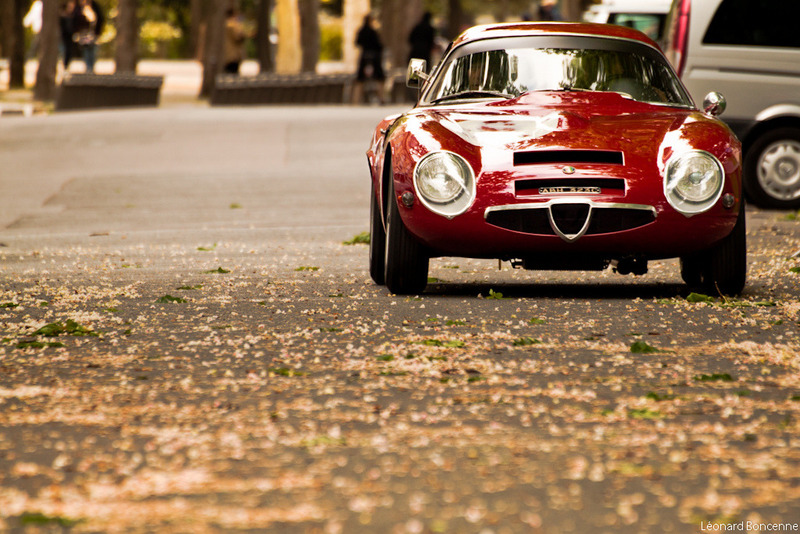 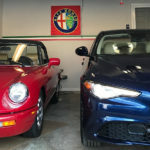 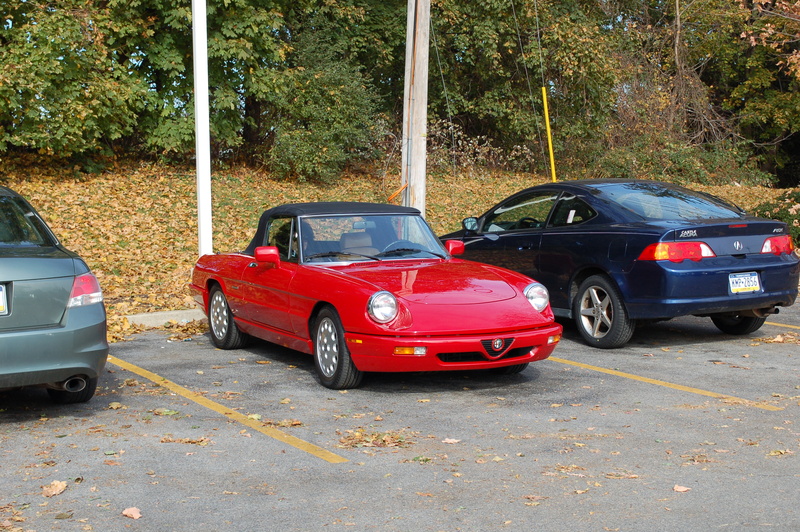 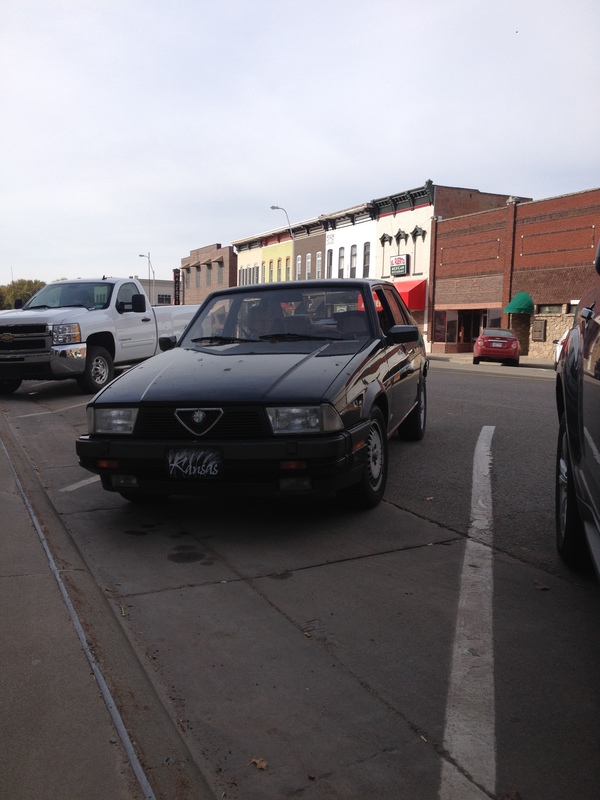 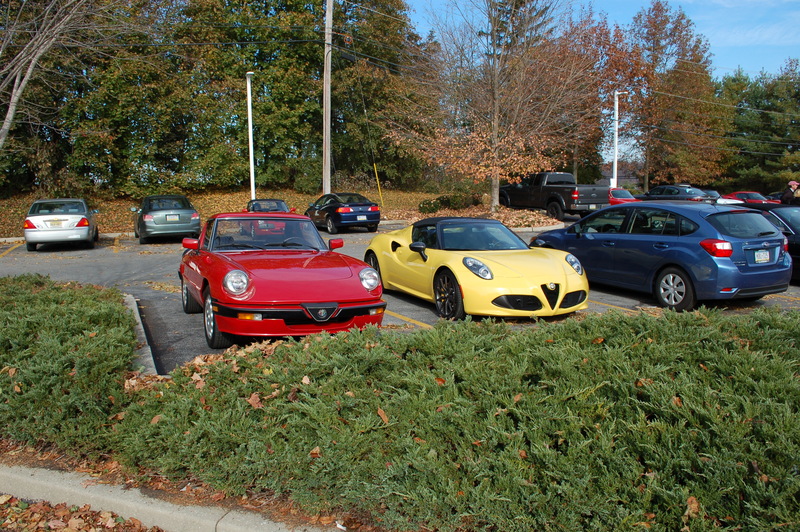 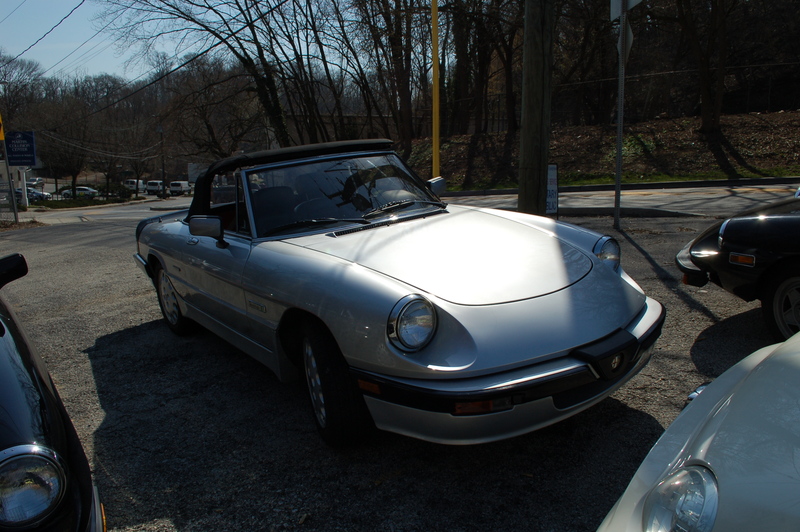 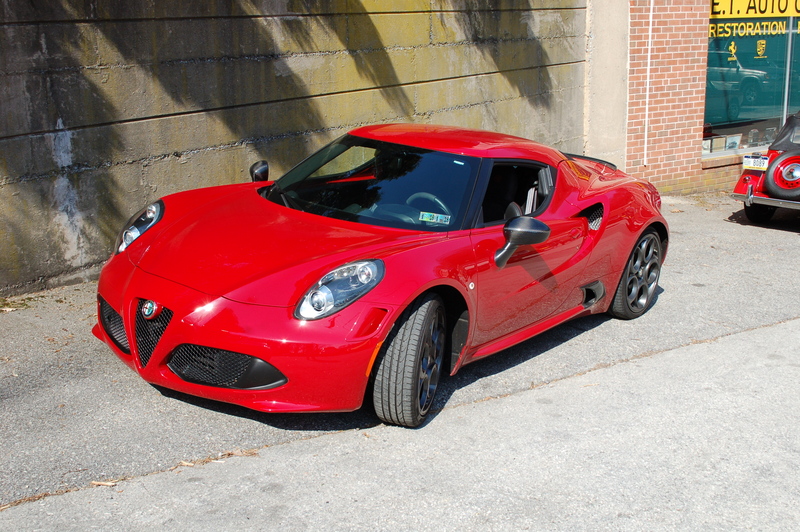 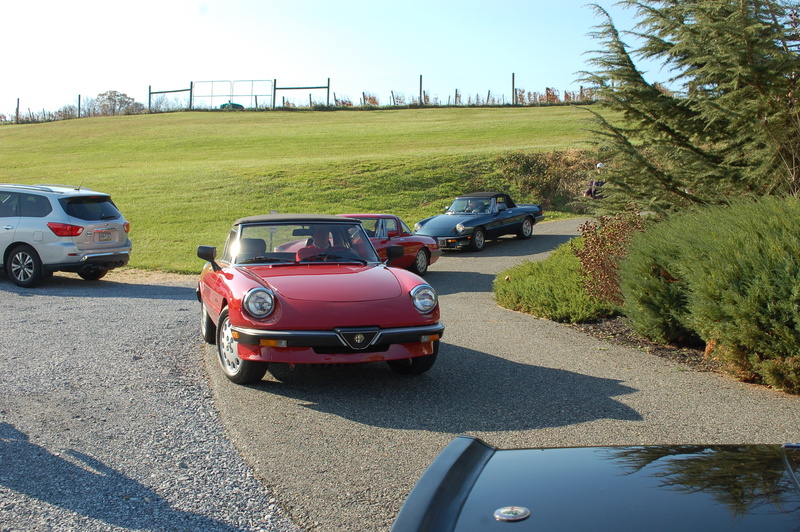 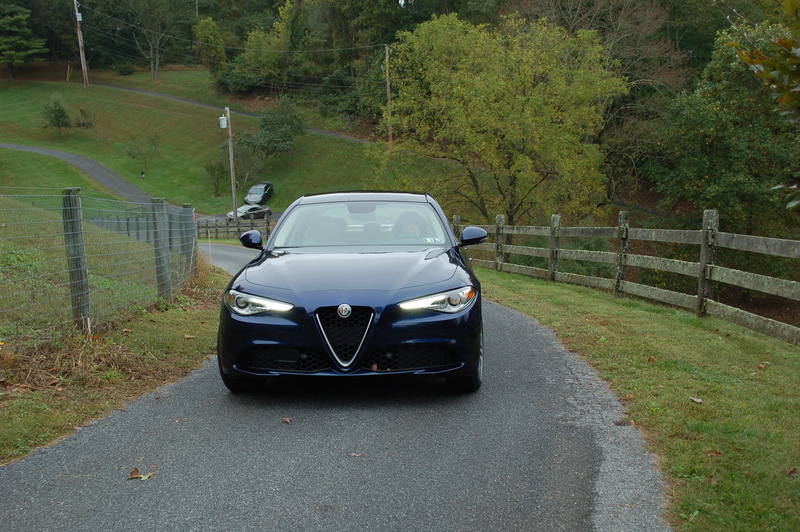 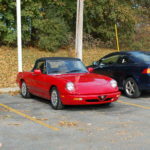 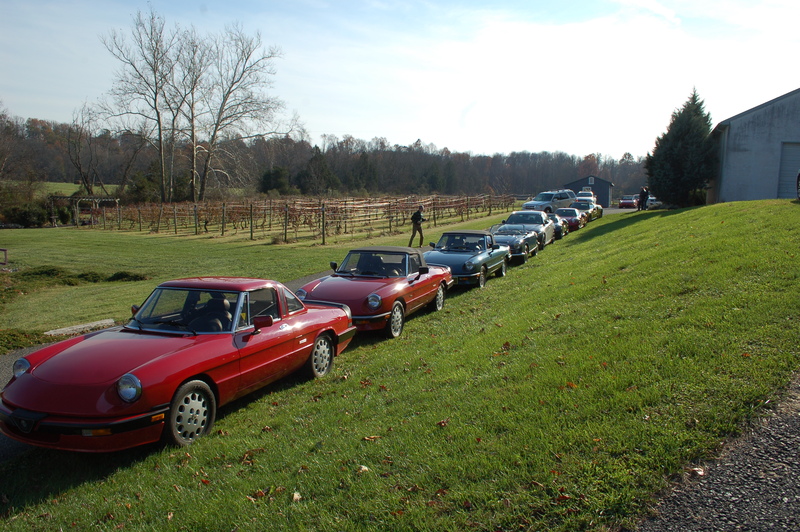 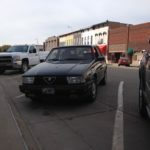 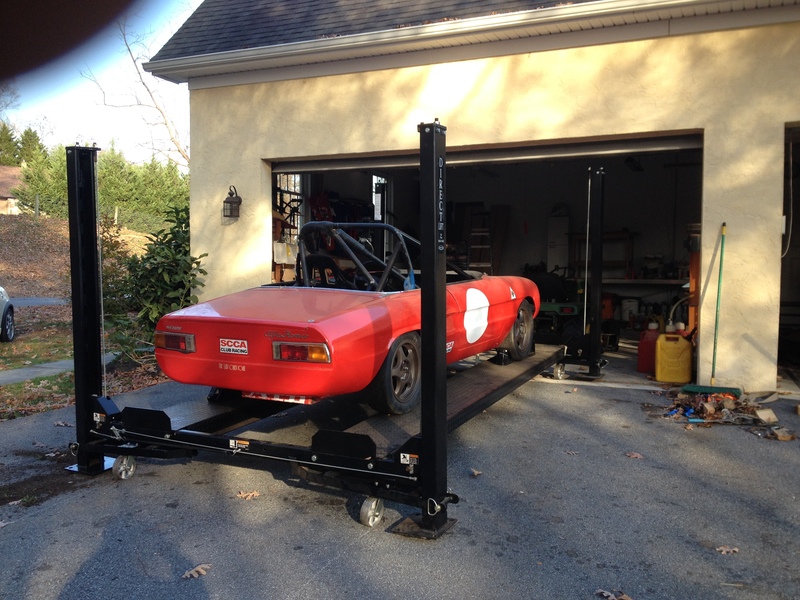 Spring is right around the corner and your Alfa club is ready to bloom. 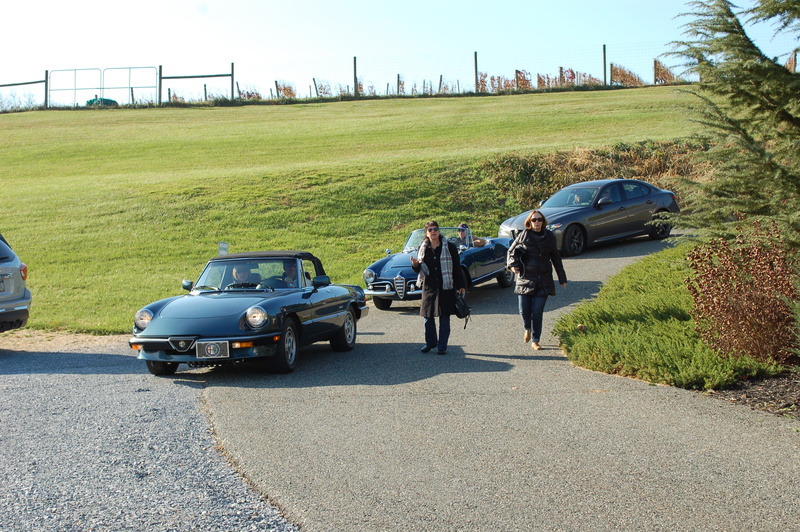 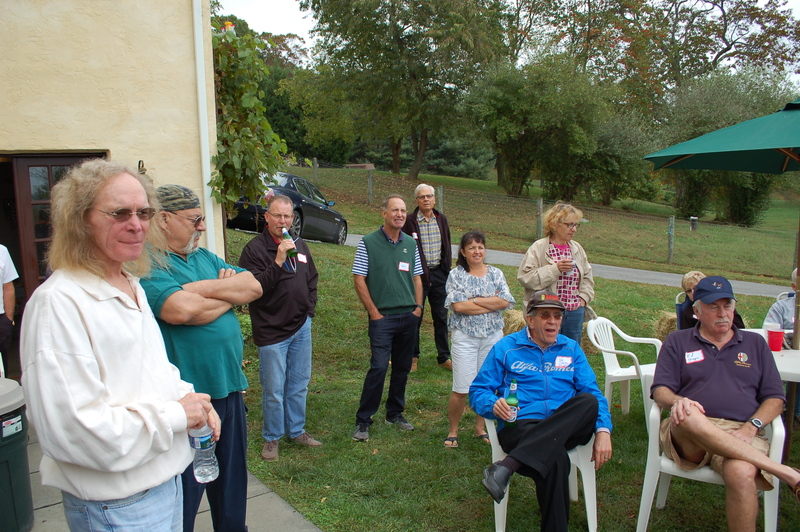 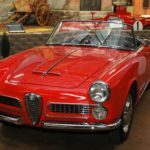 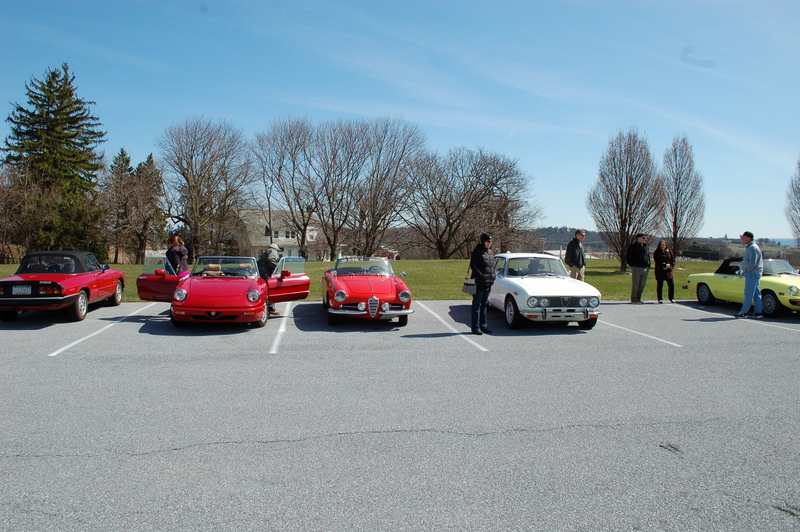 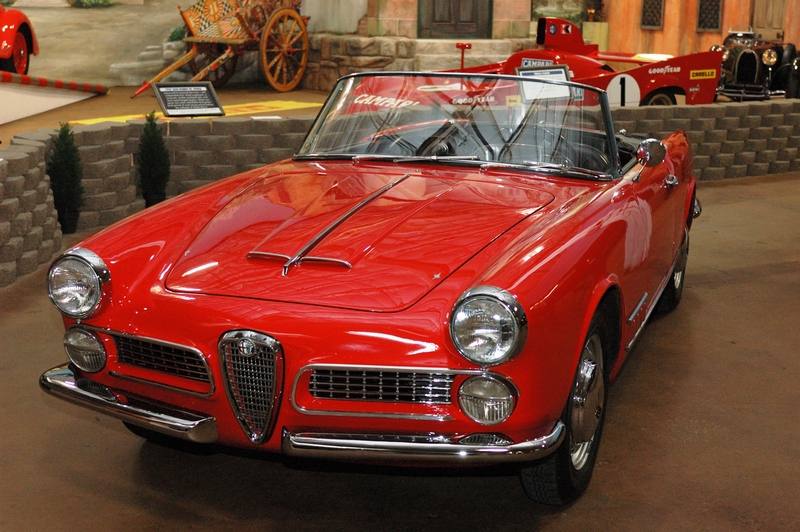 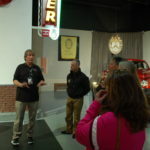 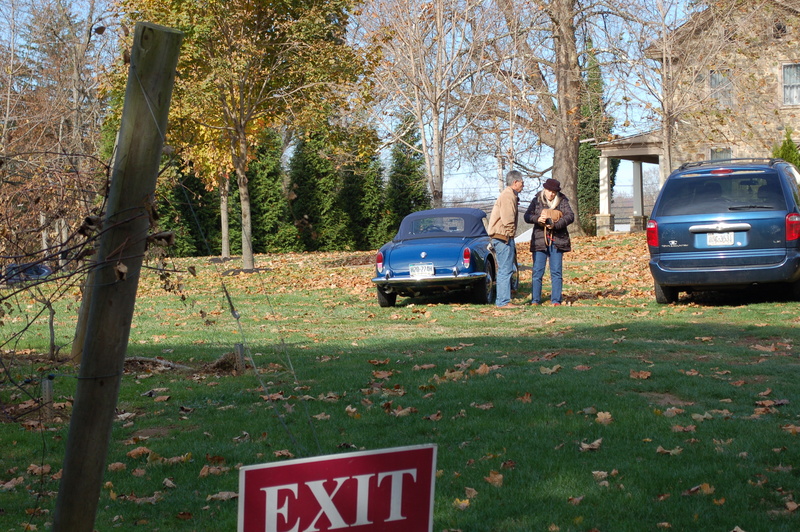 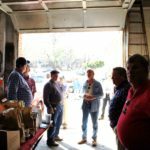 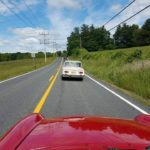 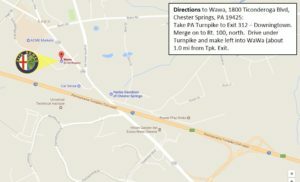 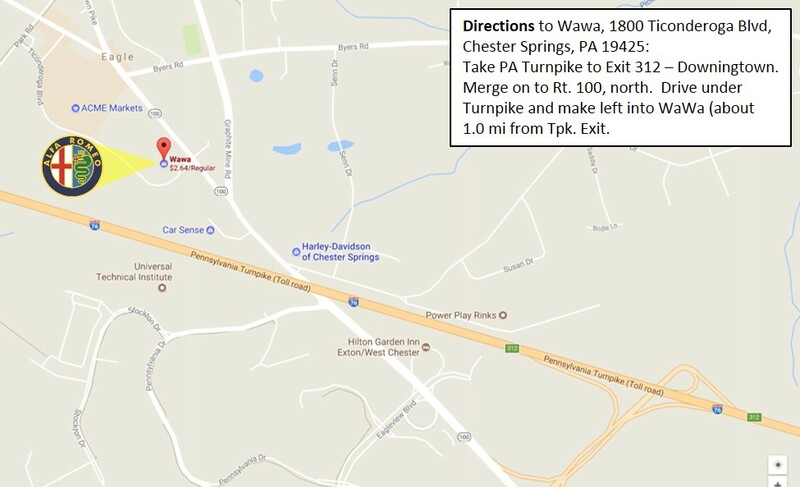 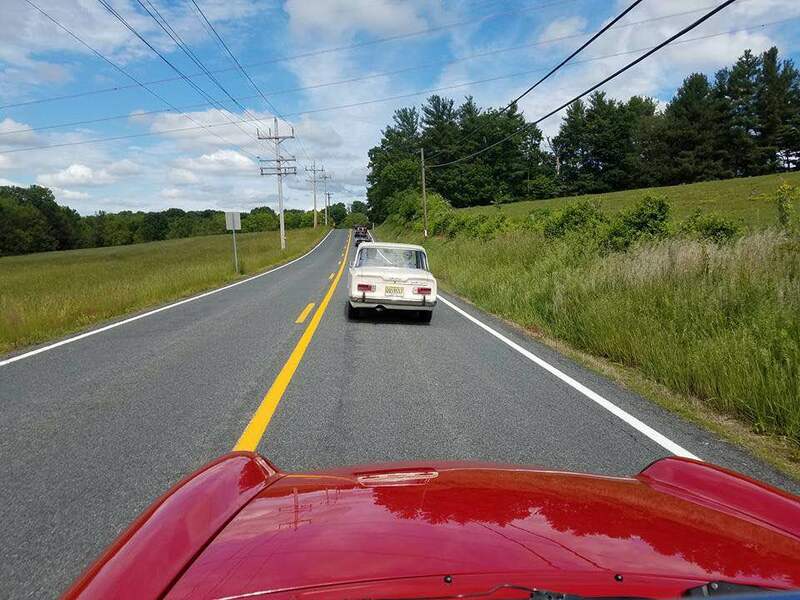 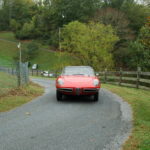 On April 2, join us for a driving tour through Chester and Lancaster county as we make our way to the AACA museum, in Hershey PA. 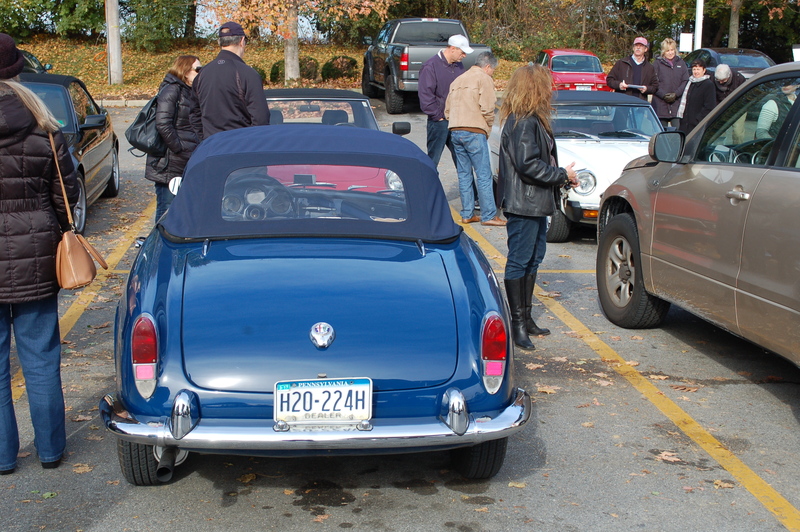 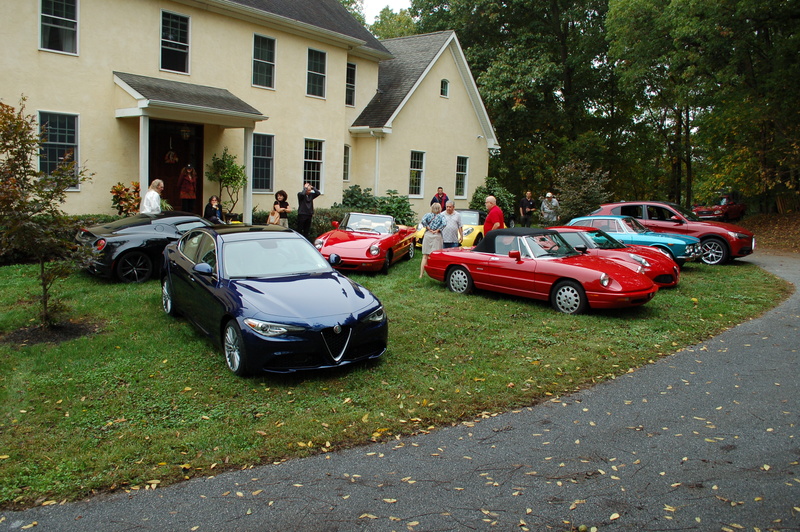 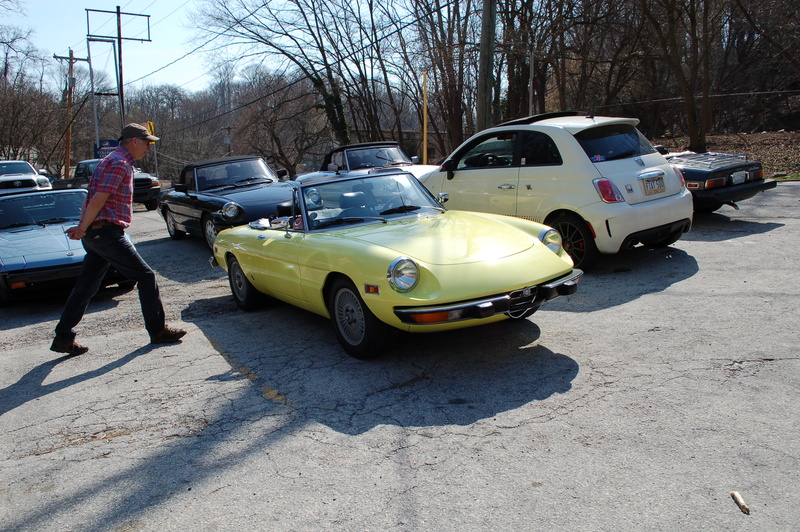 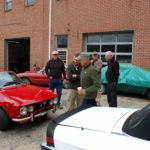 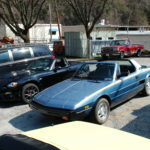 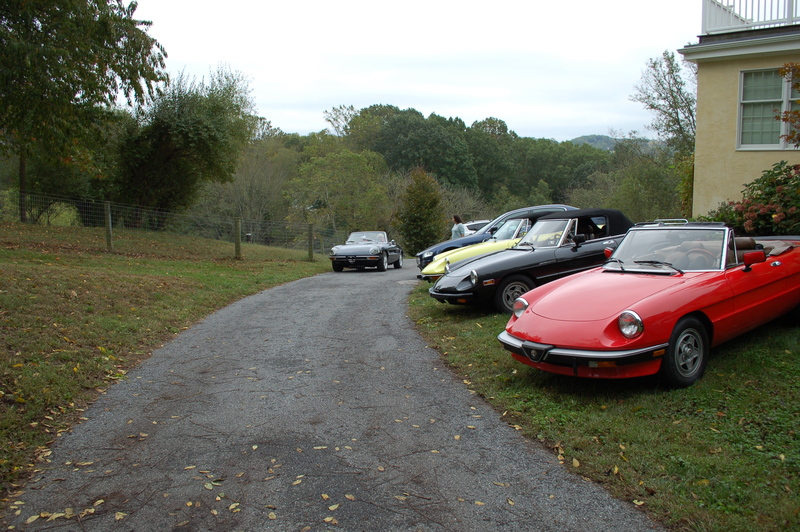 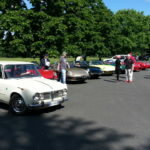 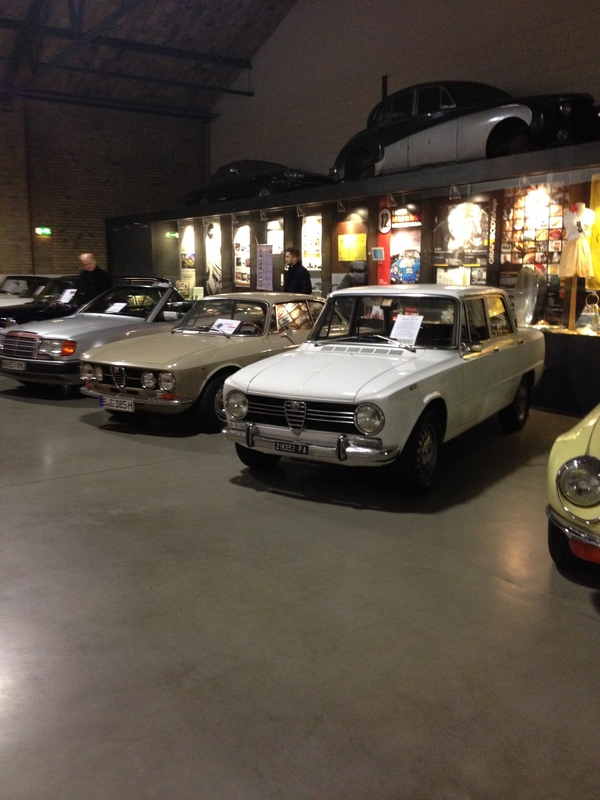 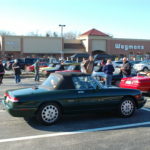 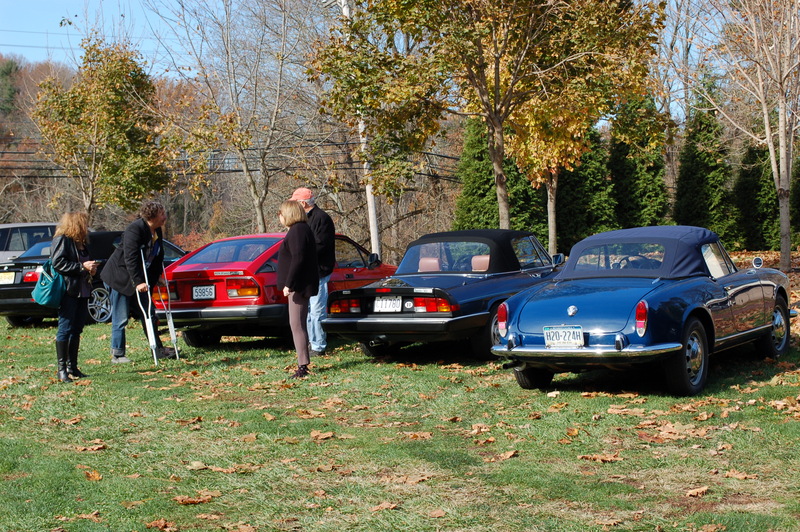 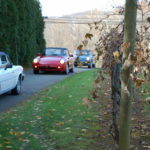 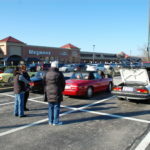 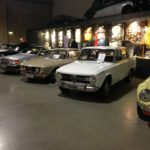 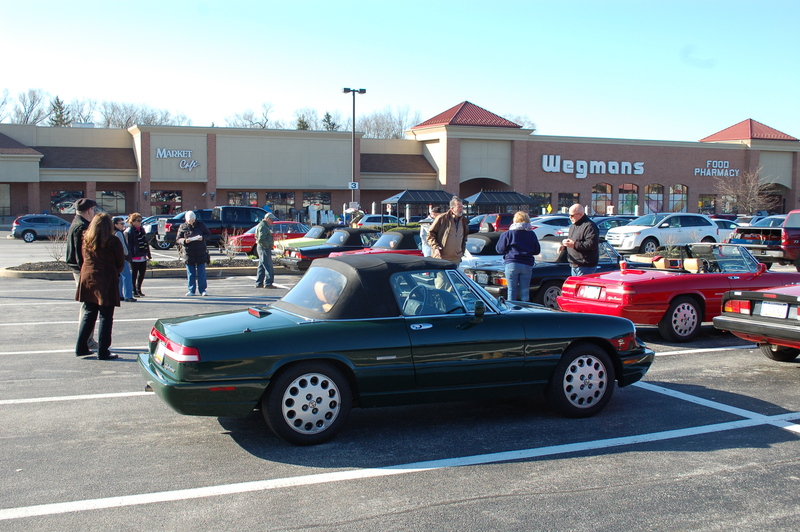 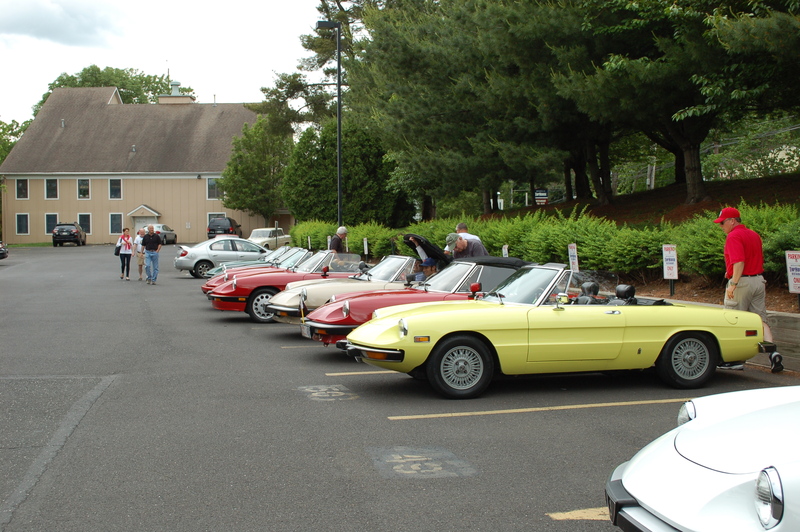 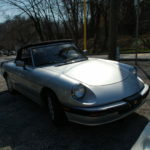 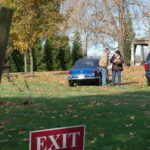 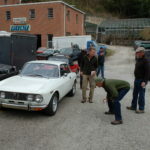 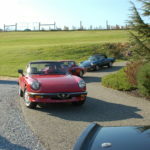 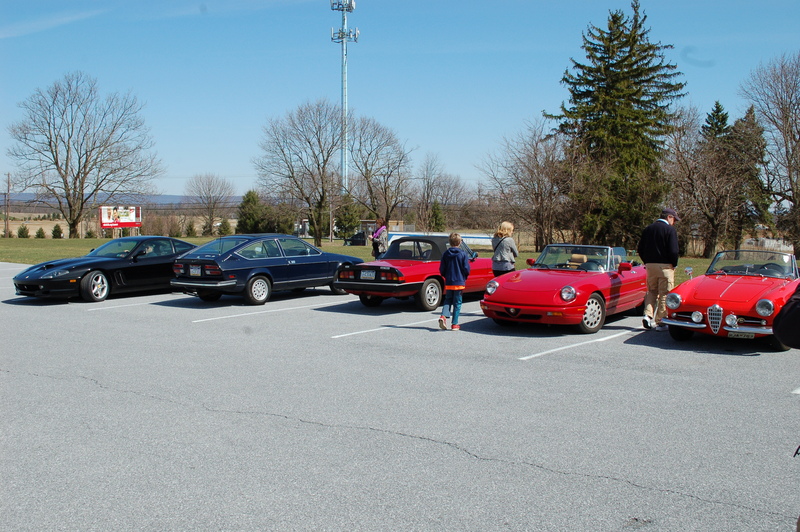 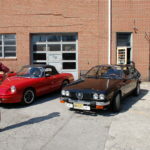 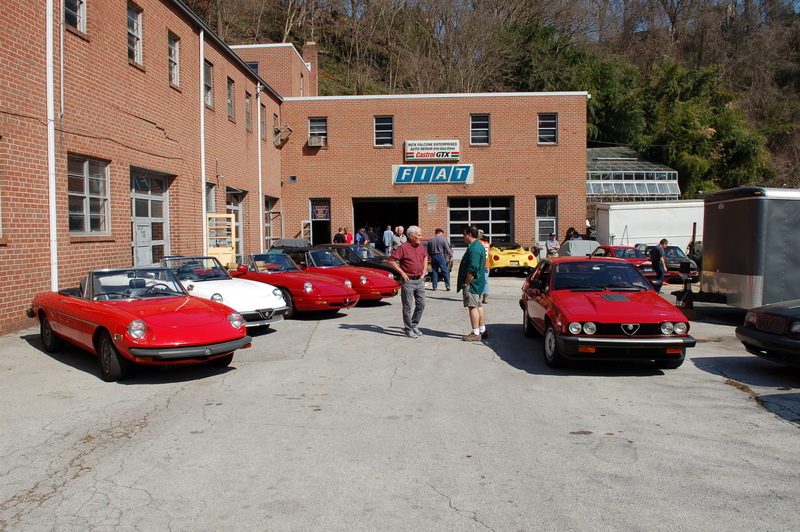 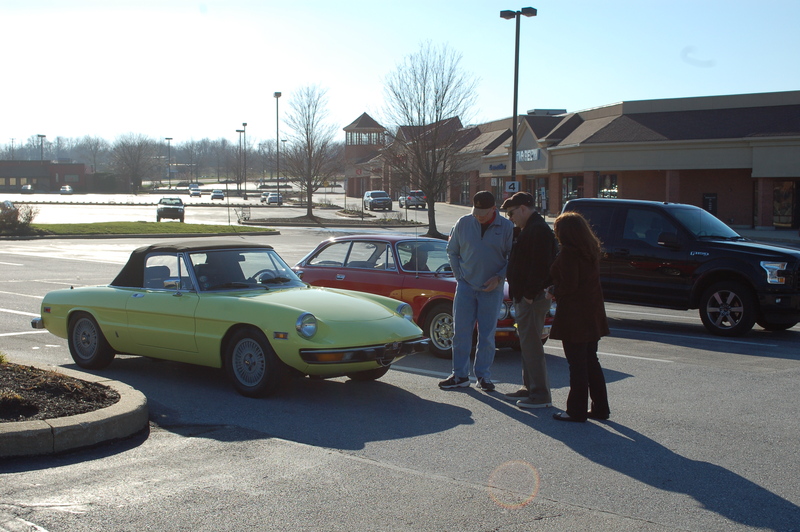 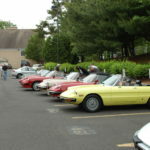 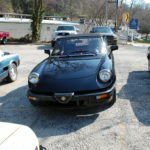 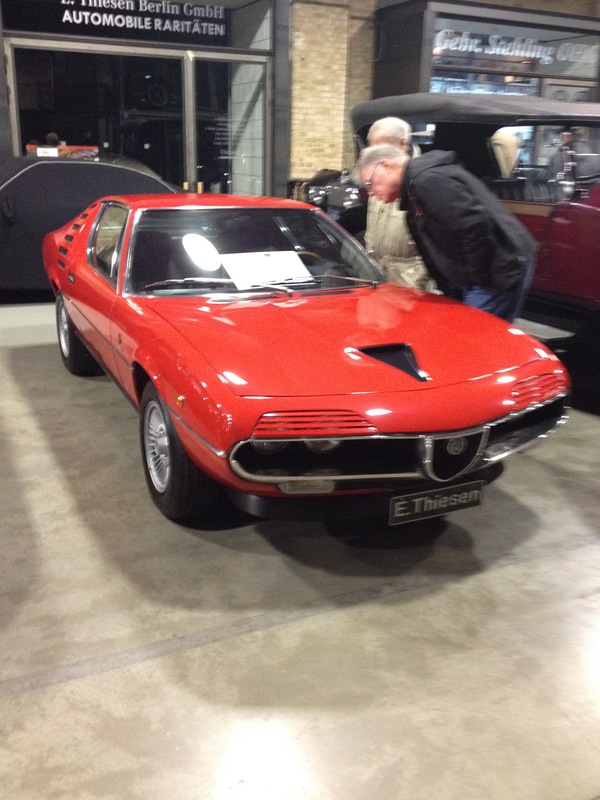 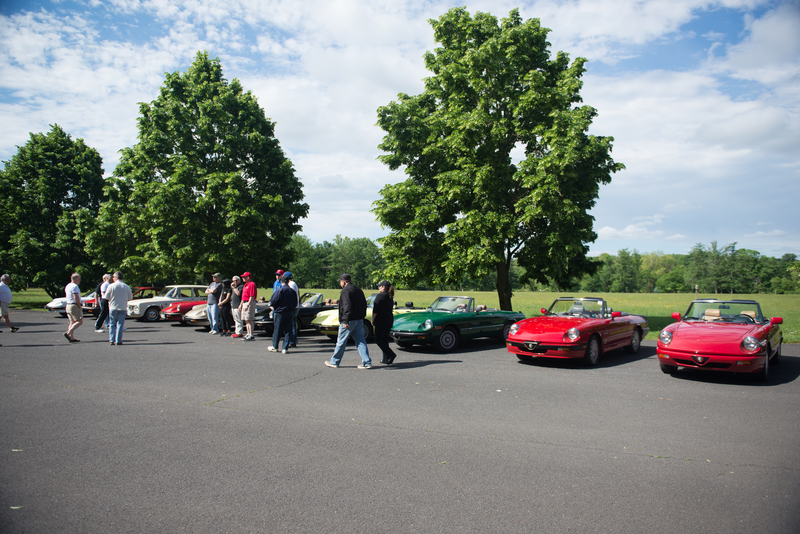 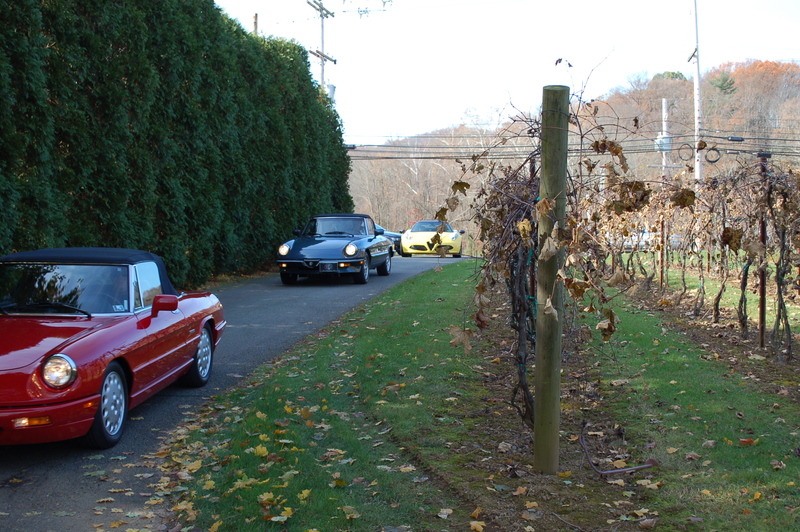 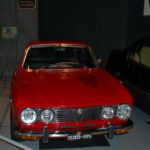 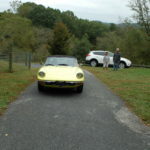 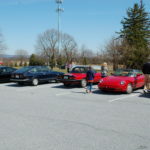 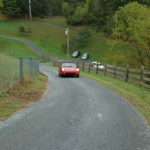 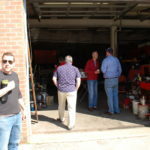 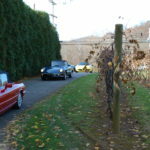 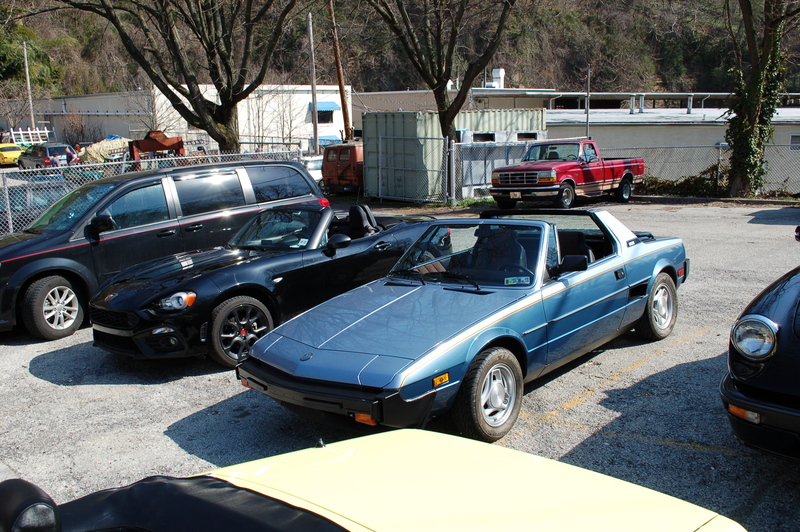 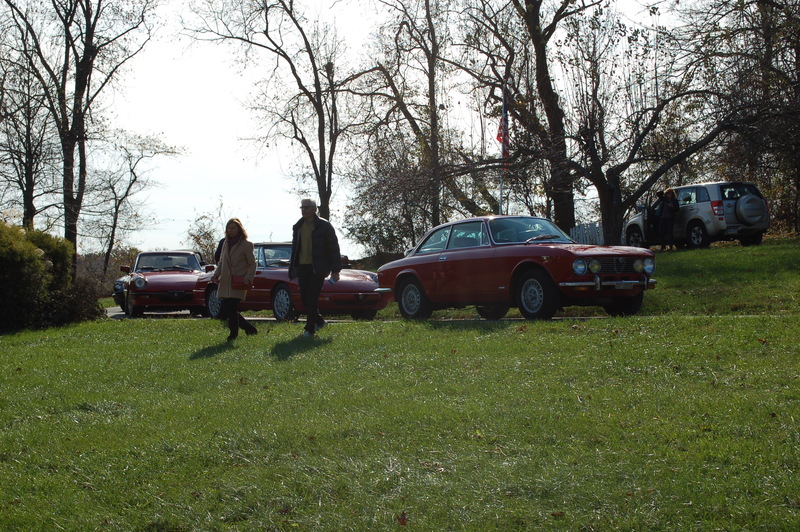 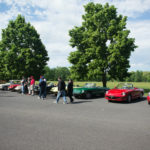 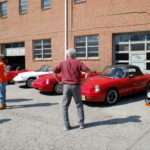 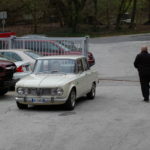 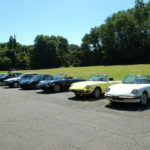 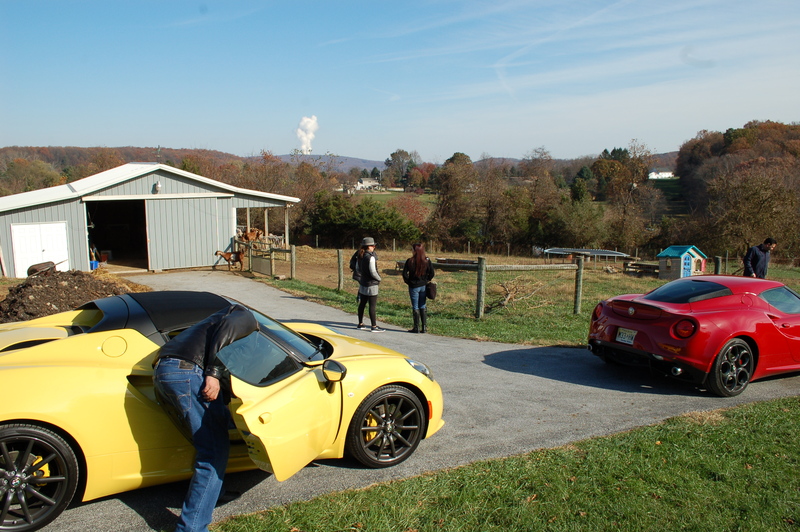 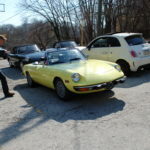 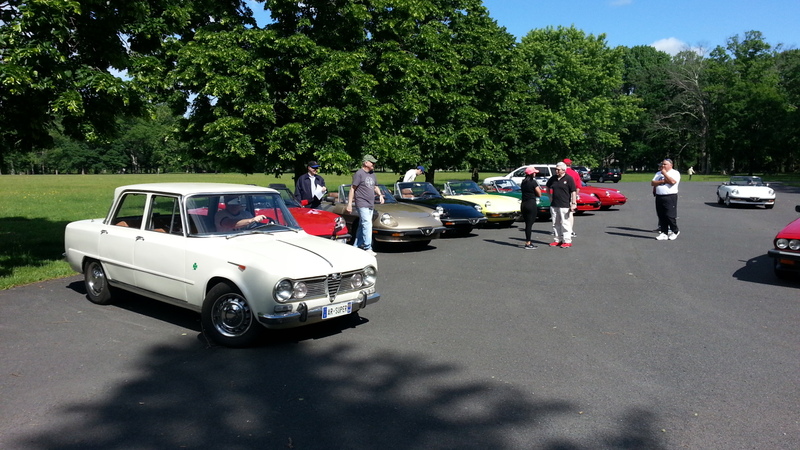 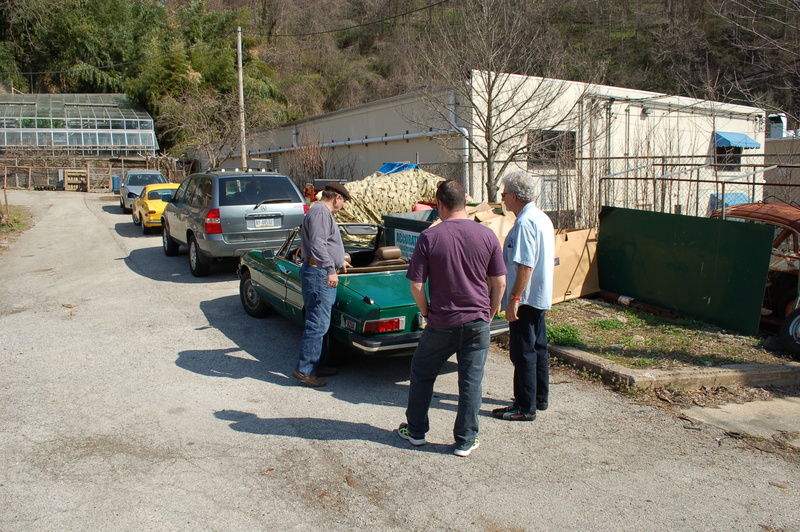 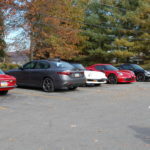 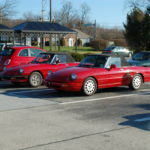 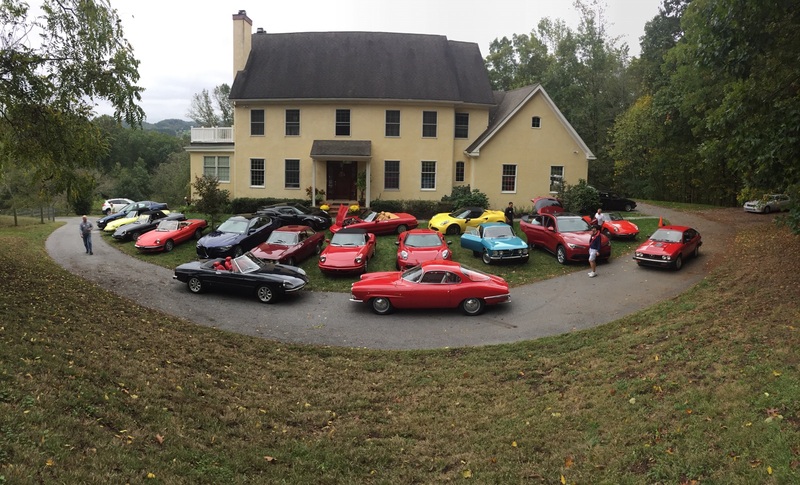 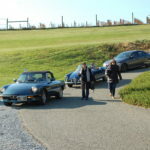 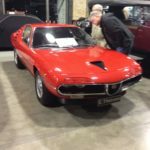 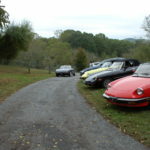 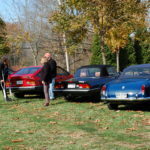 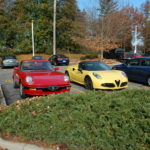 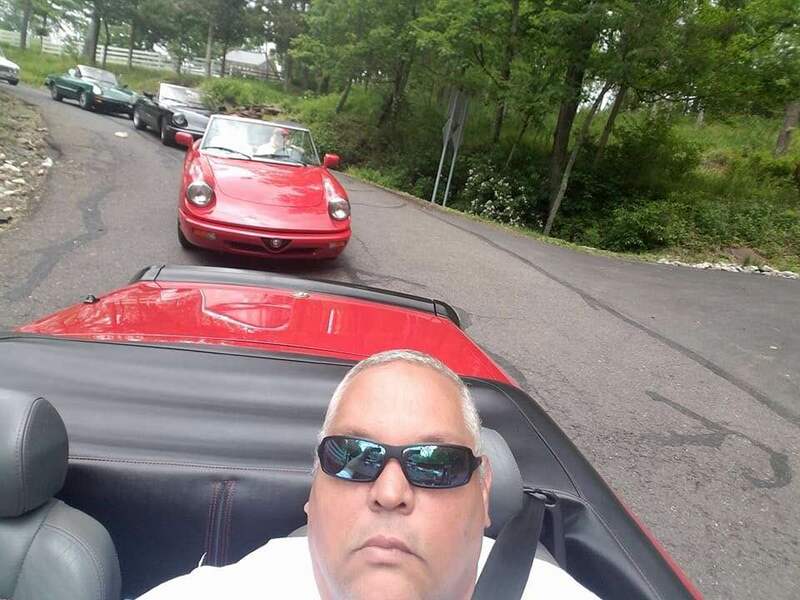 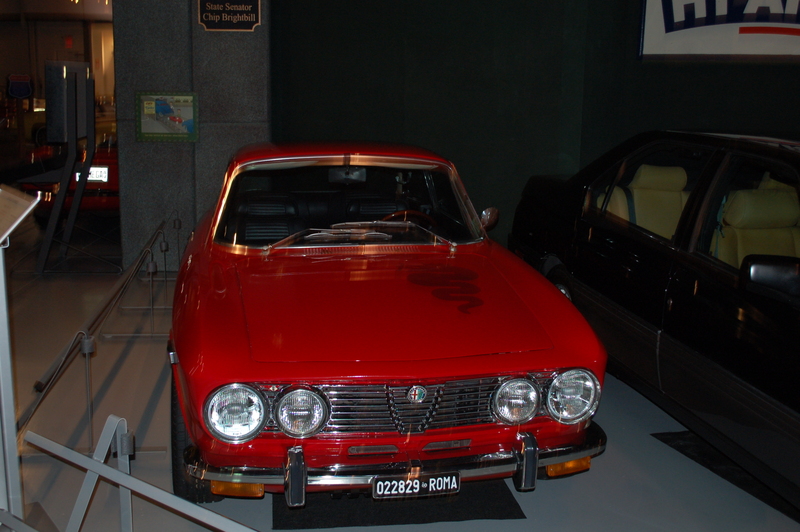 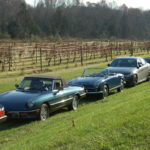 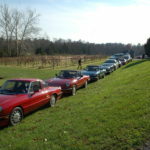 They are featuring Italian cars, some of which are owned by DVAROC members. 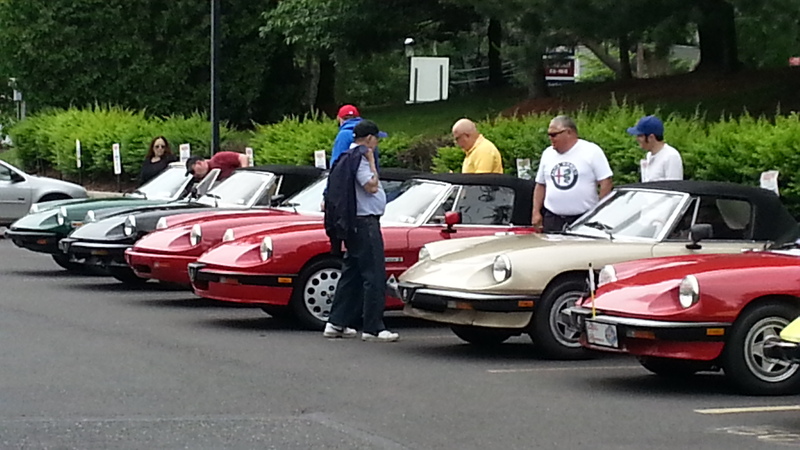 Afterwards, we’ll dine on some local Italian food at Fenicci’s of Hershey. 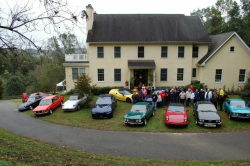 Please RSVP to bob brady robertanthonybrady@gmail.com by March 17 so that we can get an accurate headcount. 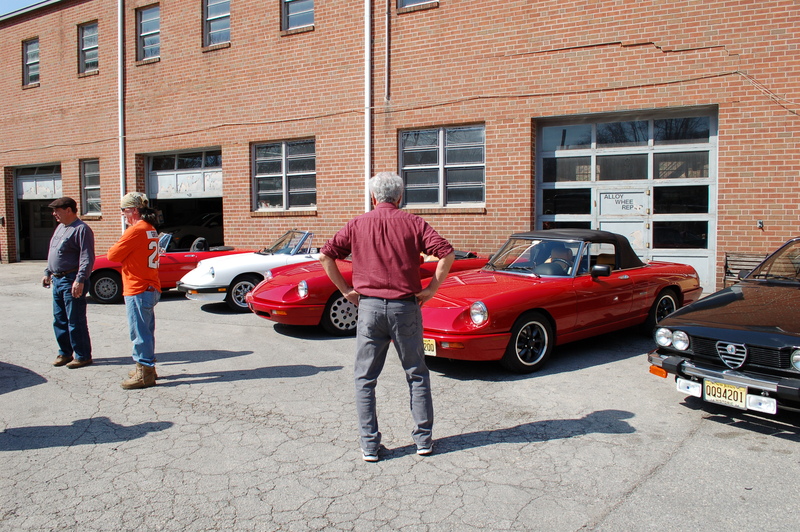 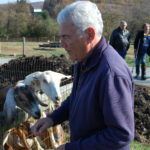 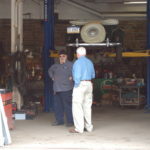 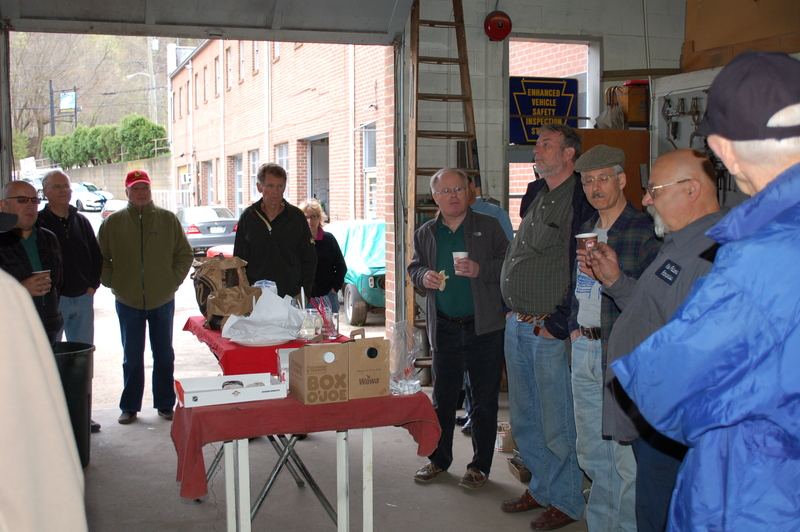 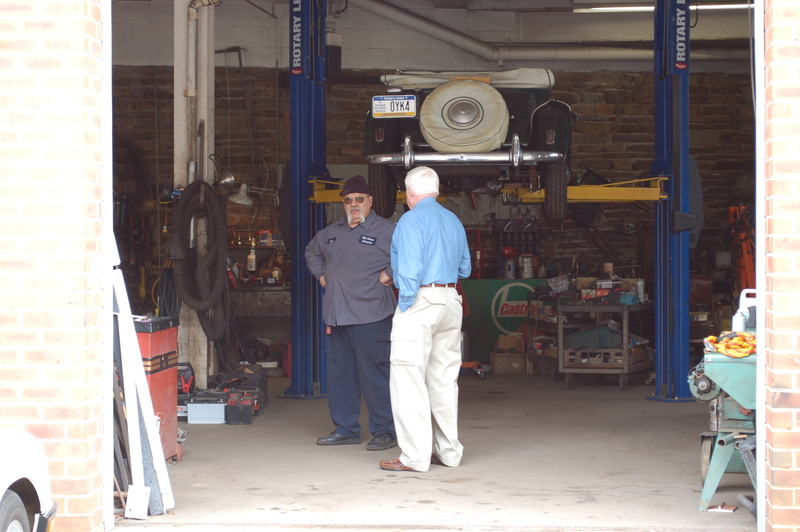 On April 15, Nick Falcone Enterprises will welcome us back for our annual spring tech session. 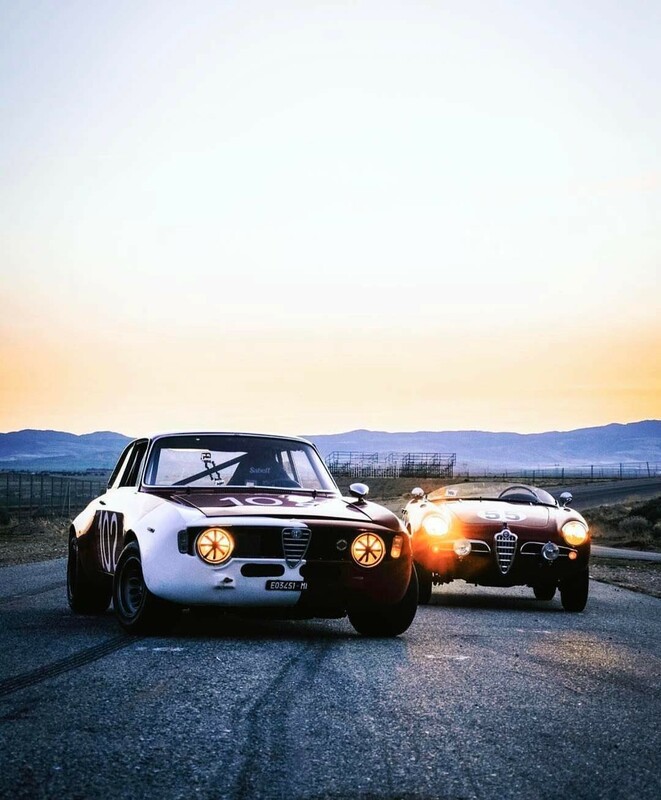 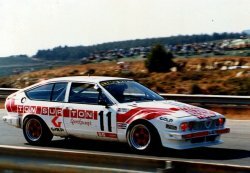 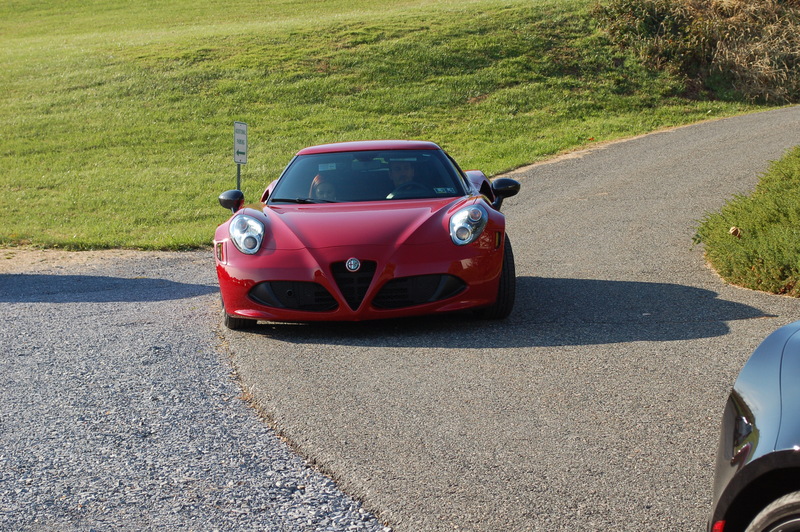 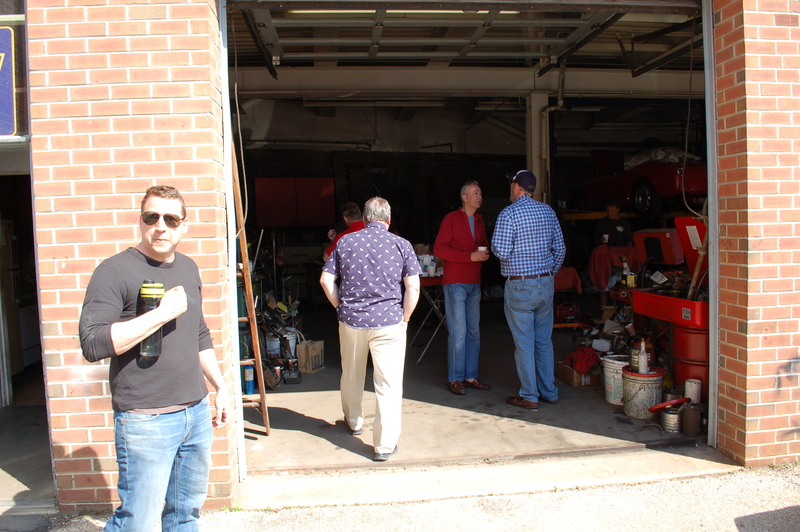 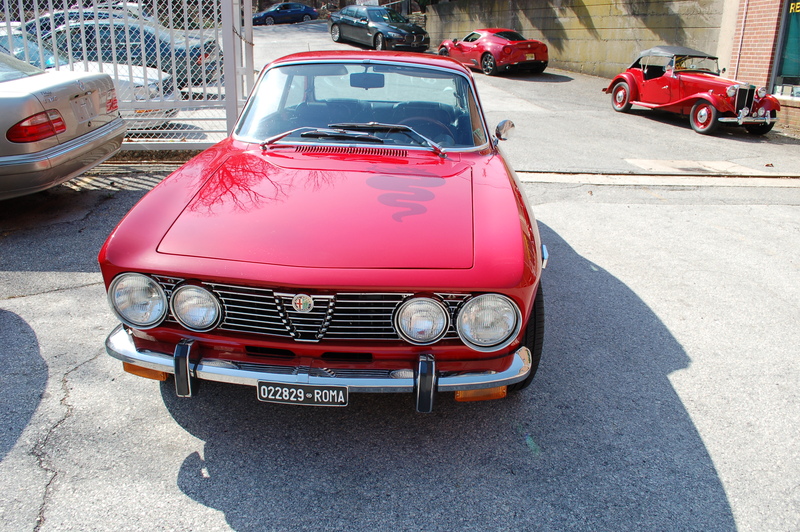 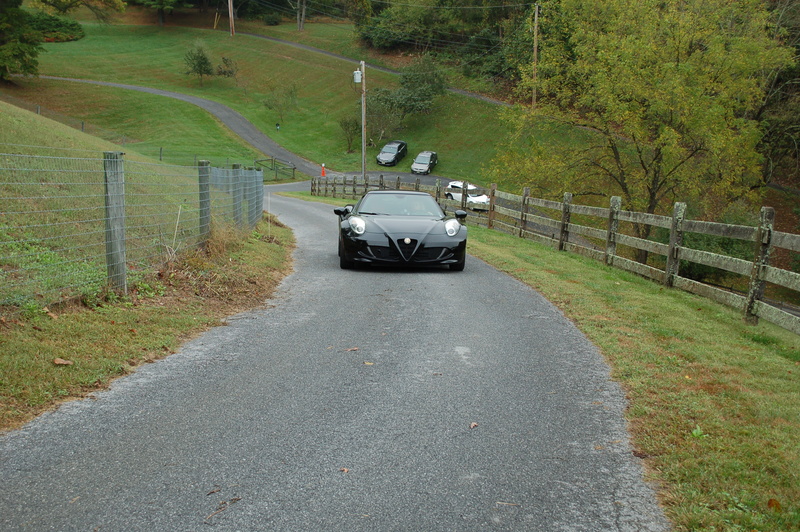 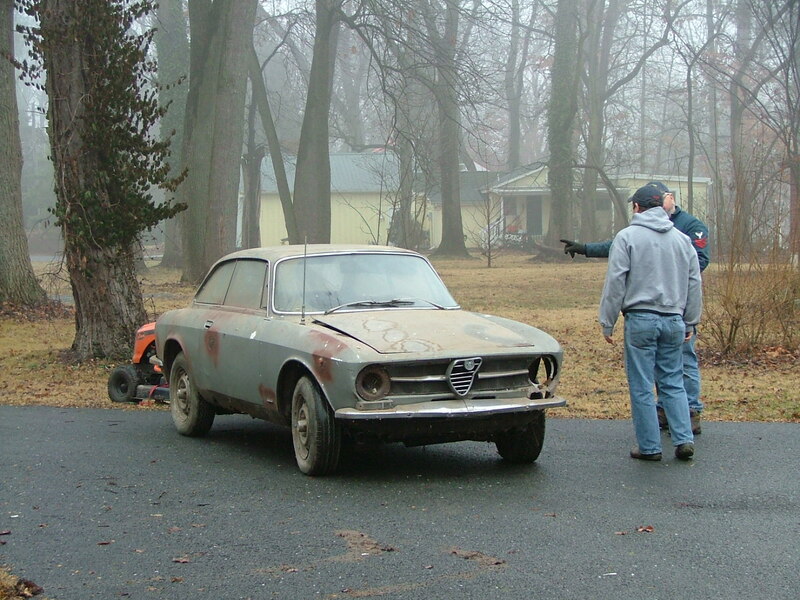 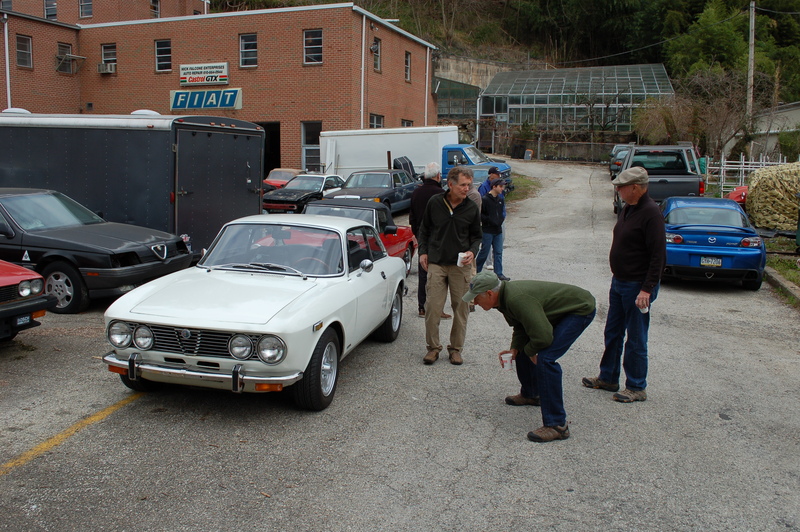 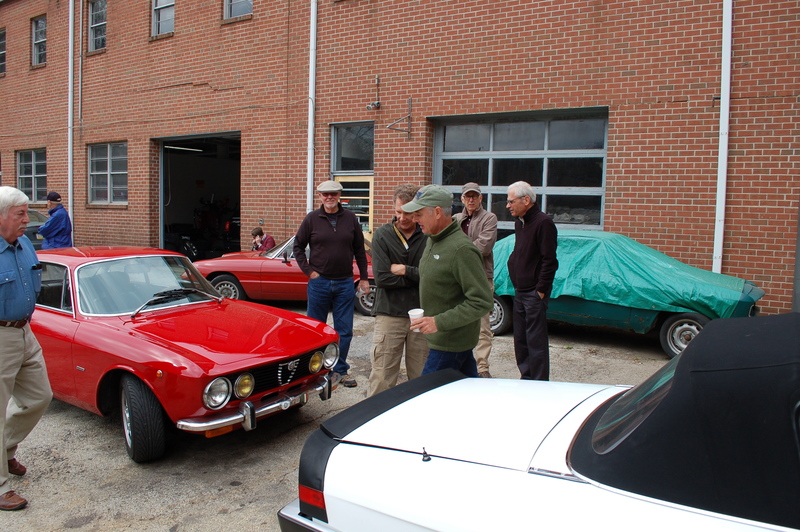 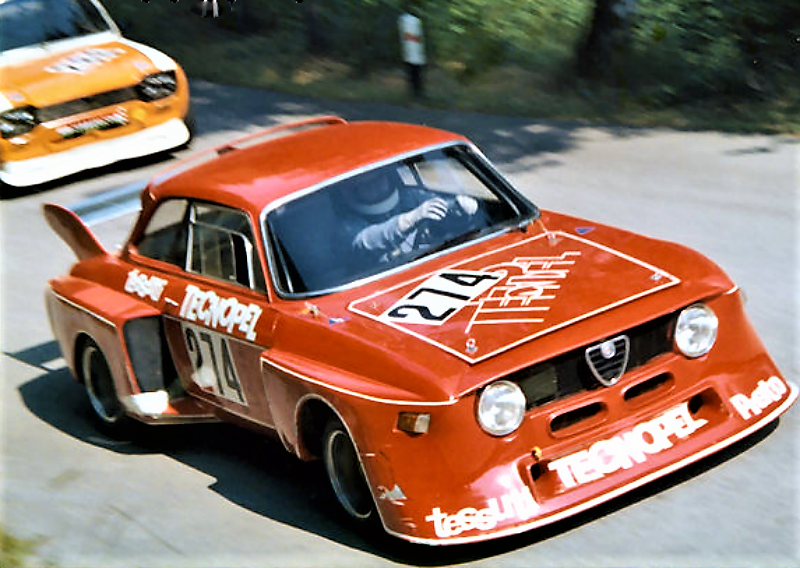 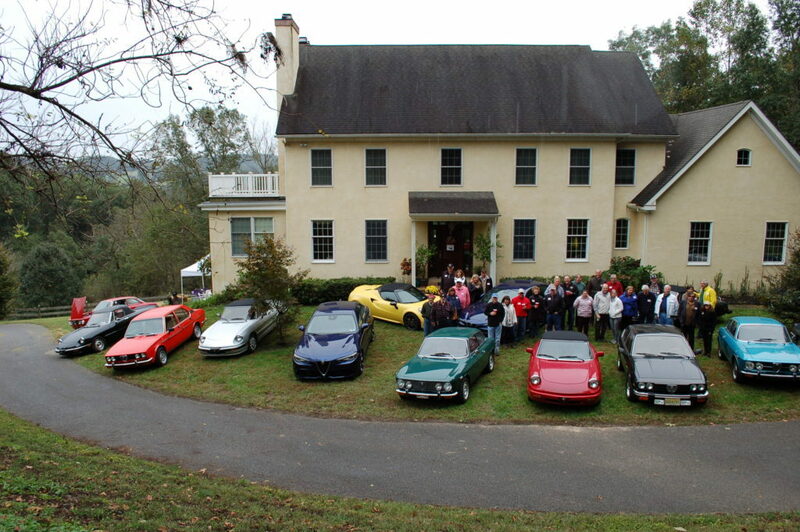 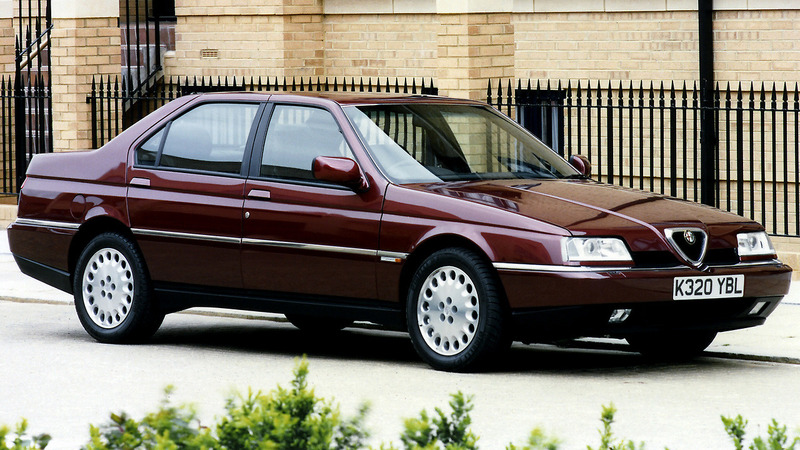 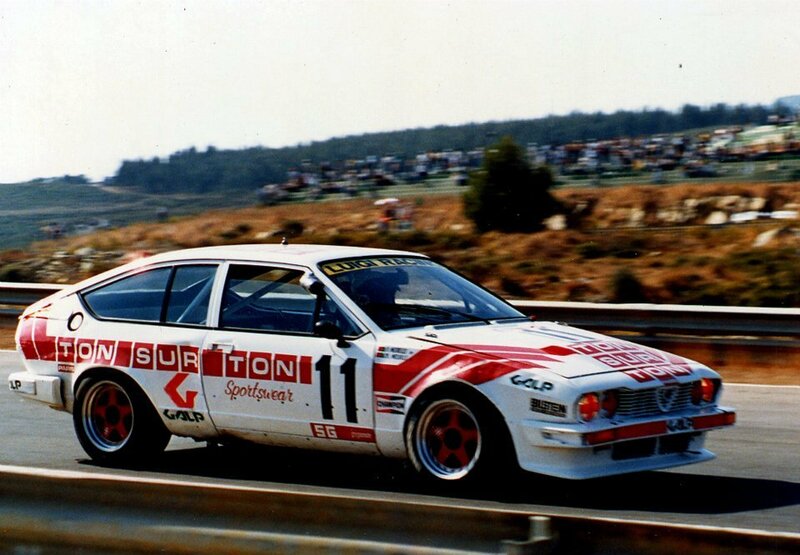 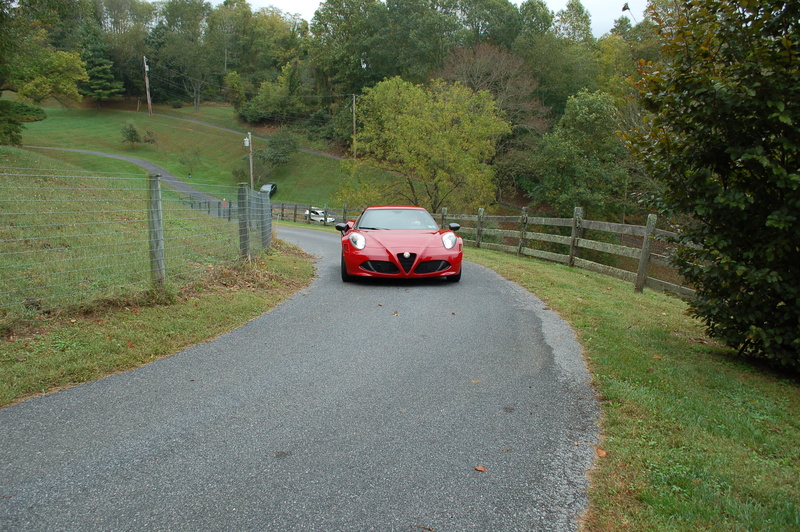 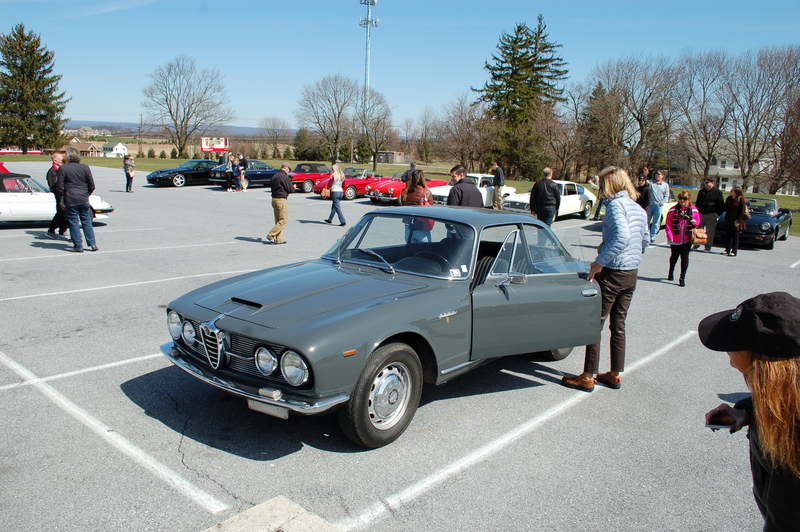 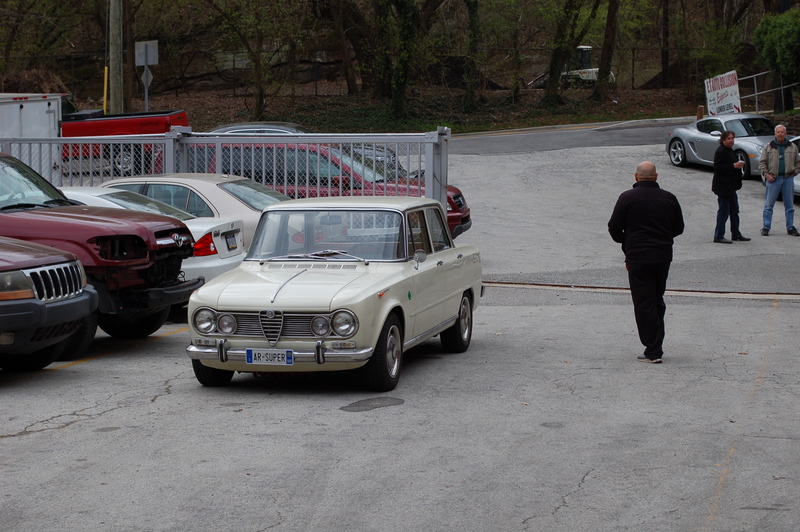 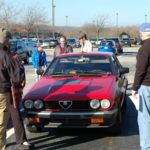 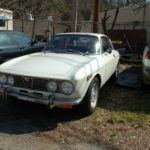 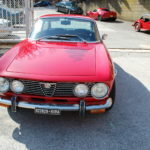 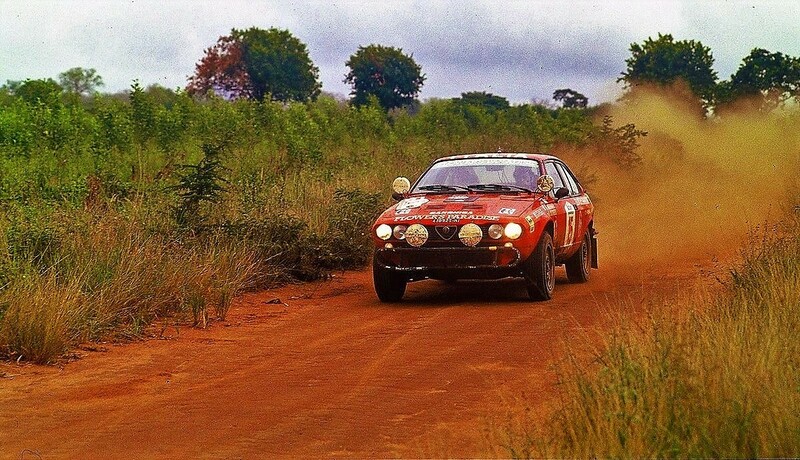 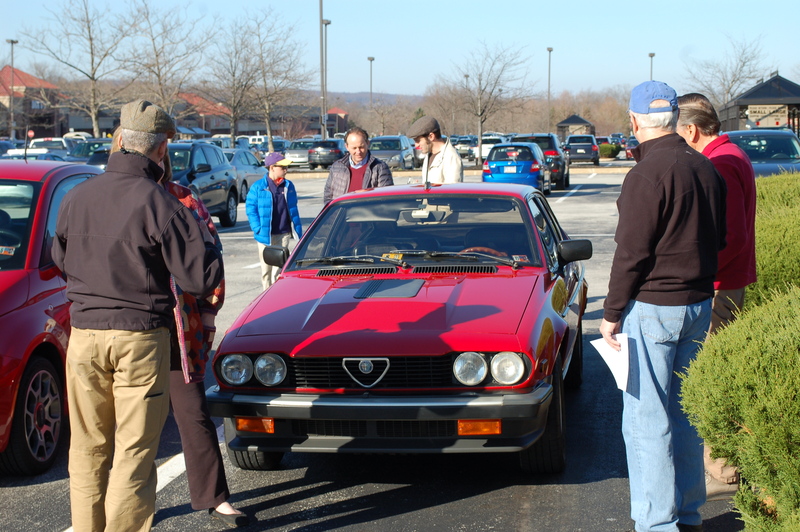 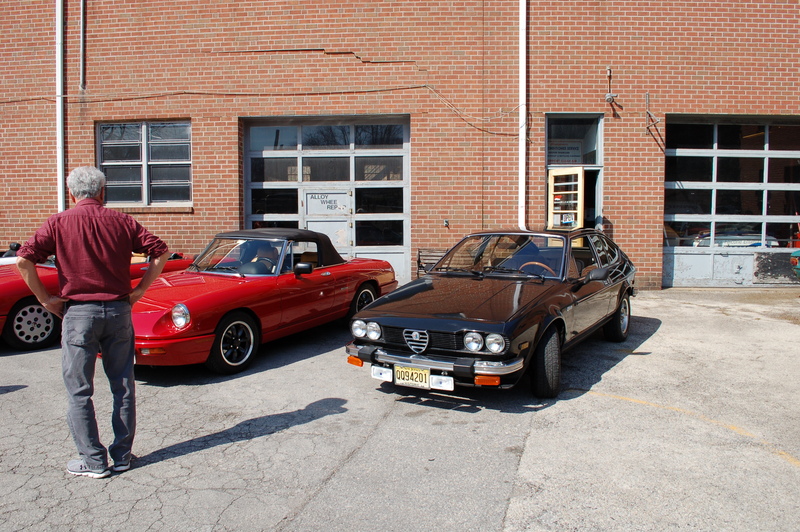 Plan to arrive around 10am and enjoy the donuts, guibos, synchros and other things Alfa. 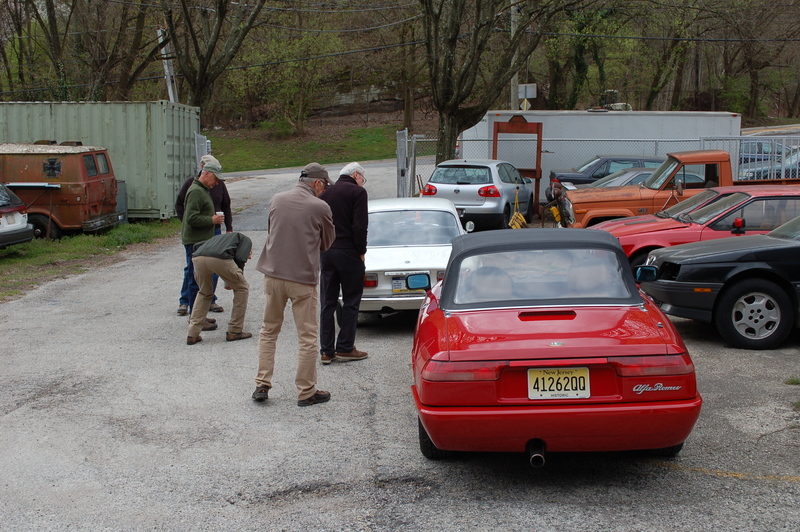 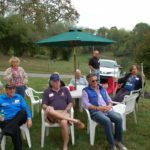 This is always a well-attended event and the perfect venue for new members, and those thinking of joining, to get to know the club. 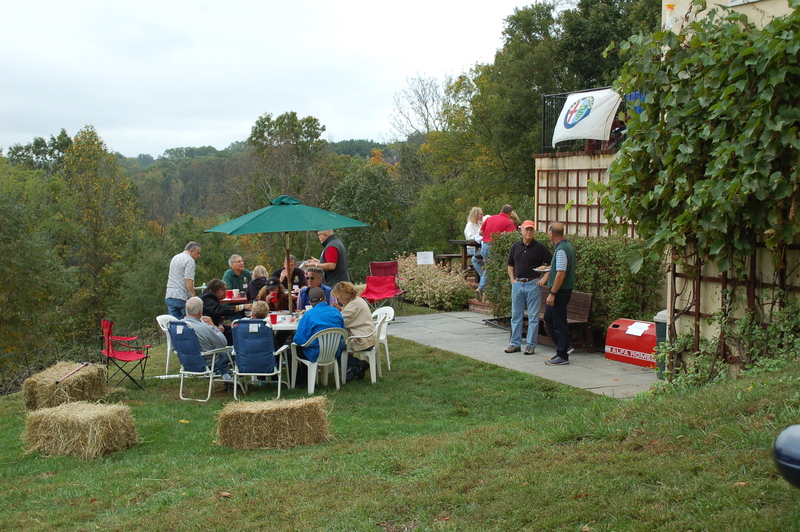 No RSVP necessary – just show up! 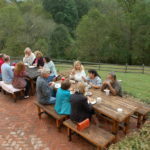 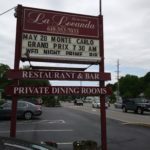 For a full listing of events, go to our calendar page.